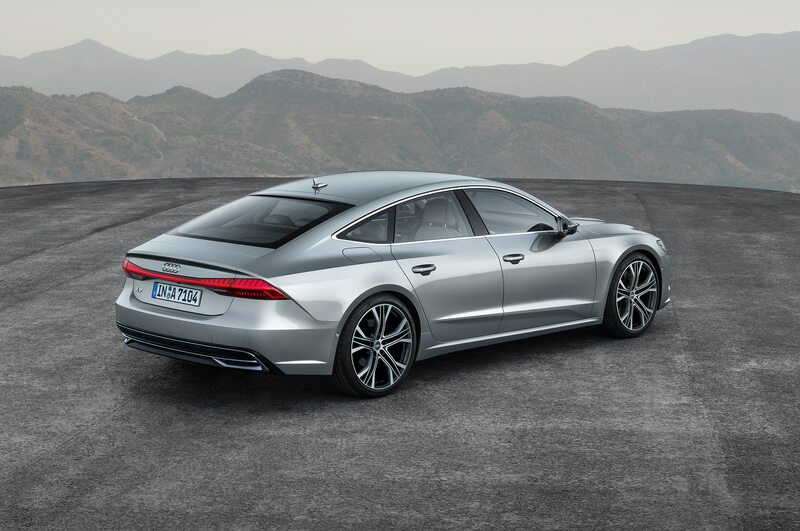 The past year has been, frankly, a bit of a disappointment in design terms. 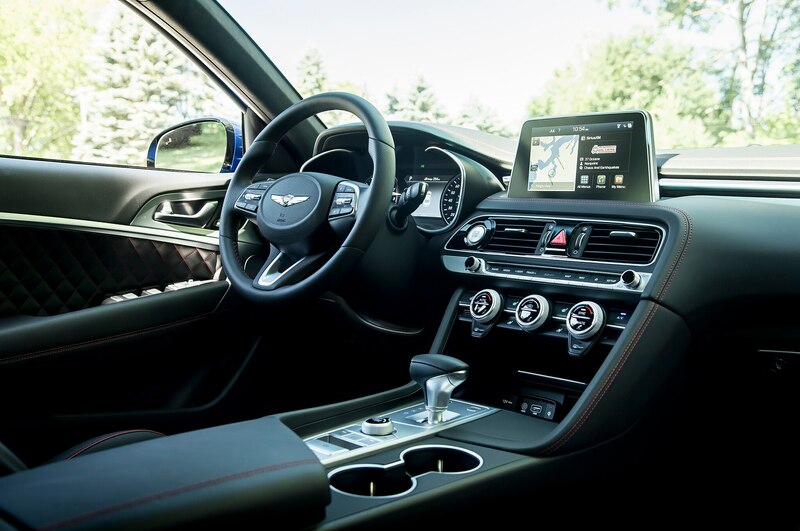 If there were numerous handsome, well-executed products presented to the market, they were all distressingly similar and notably lacking in imagination and innovation. 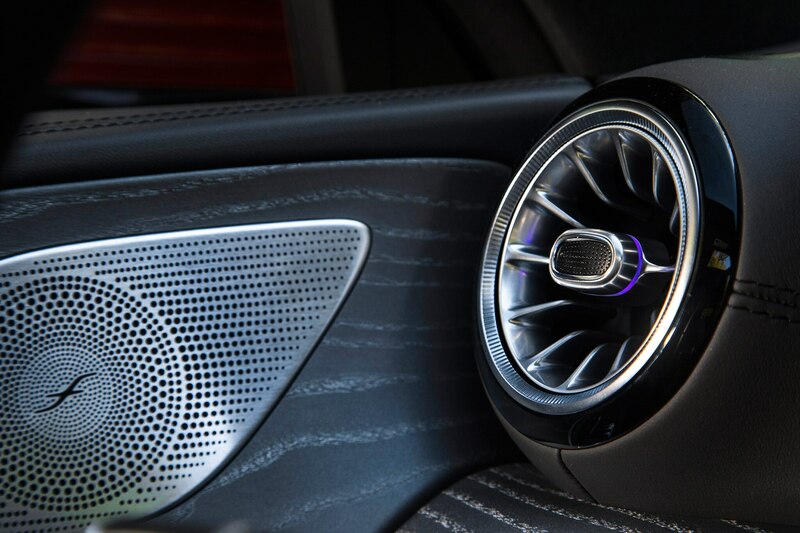 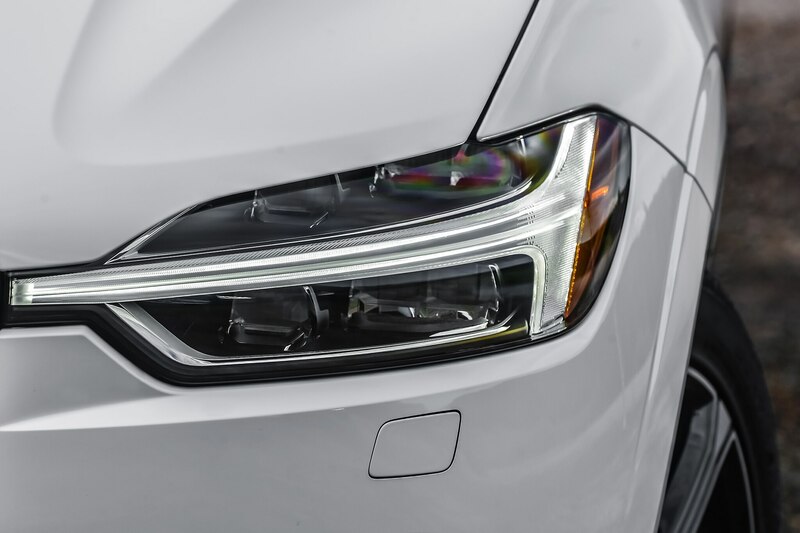 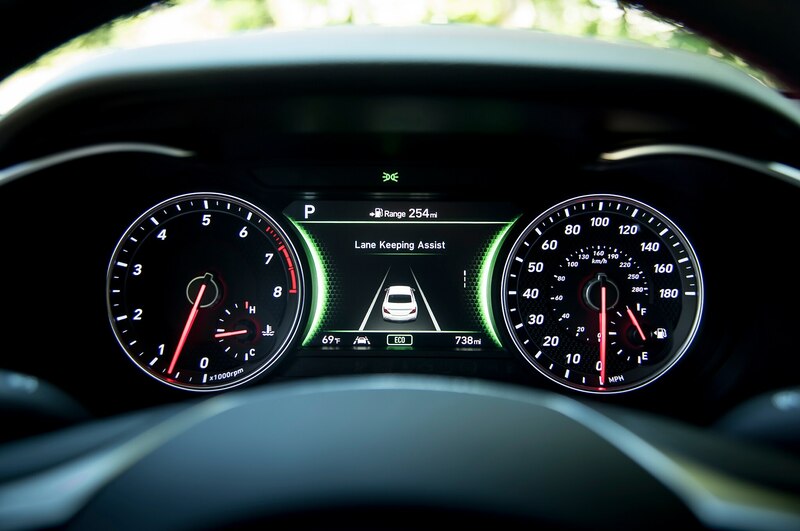 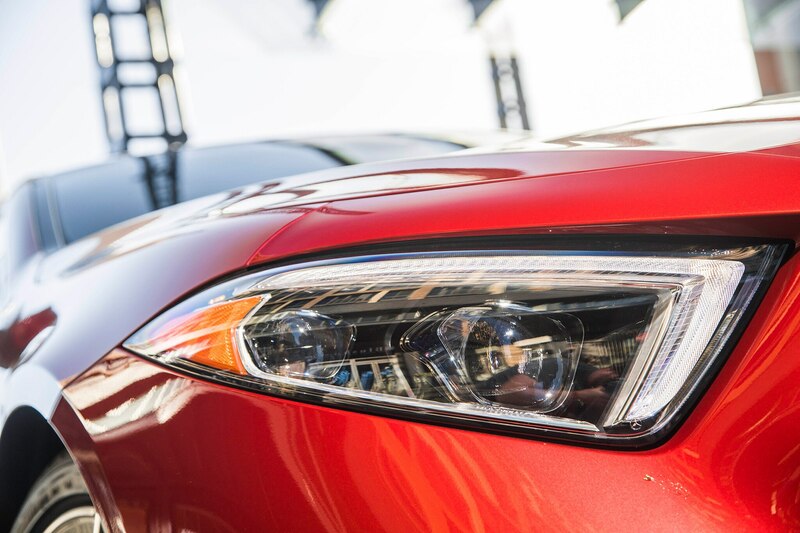 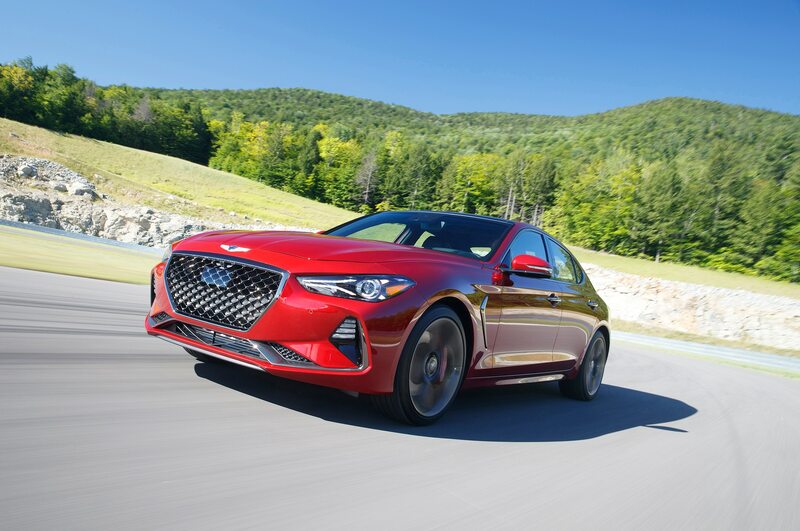 Many of the contenders for our 2019 Automobile Design of the Year trophy have points of similarity, entirely too many of them to our tastes: long hoods; virtually vertical grilles to allow for those hood lengths; notably oversized inlets at the lower front corners, swept back for reduced drag; horizontally oriented headlamp assemblies; thin trapezoidal air inlets under their six-faceted main grille frames; sculpting along the sills and on the body sides; and so on through a long list of details. 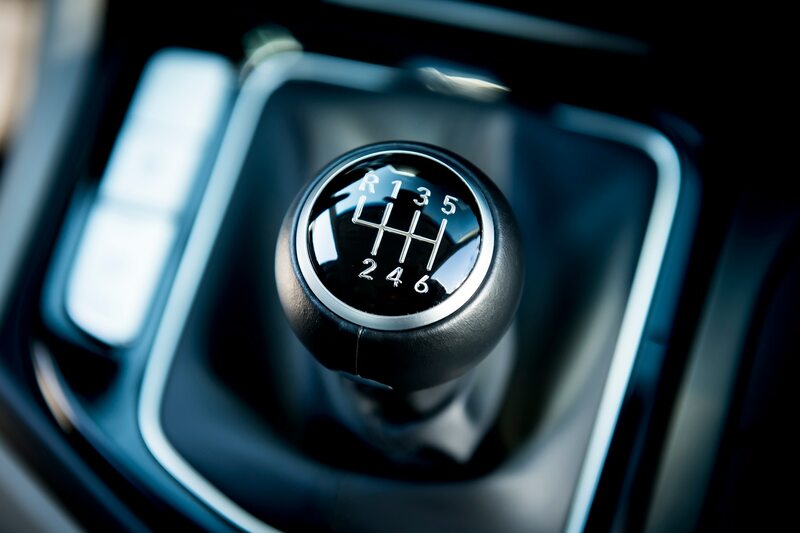 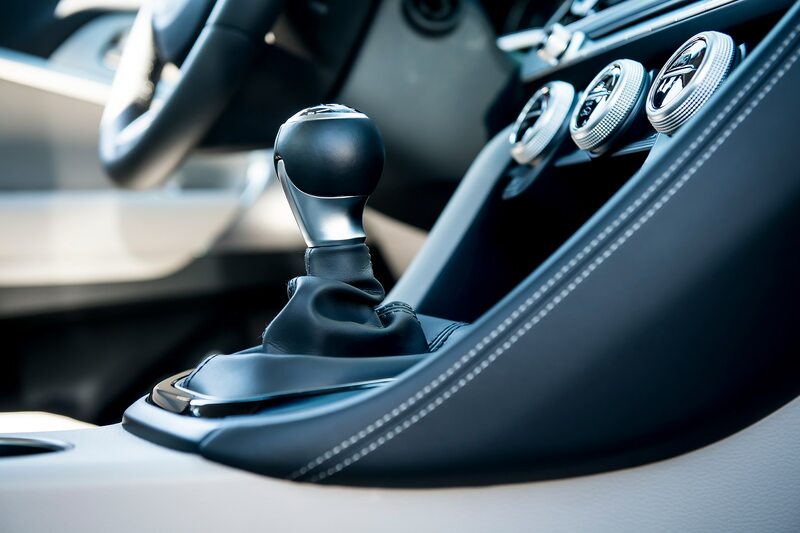 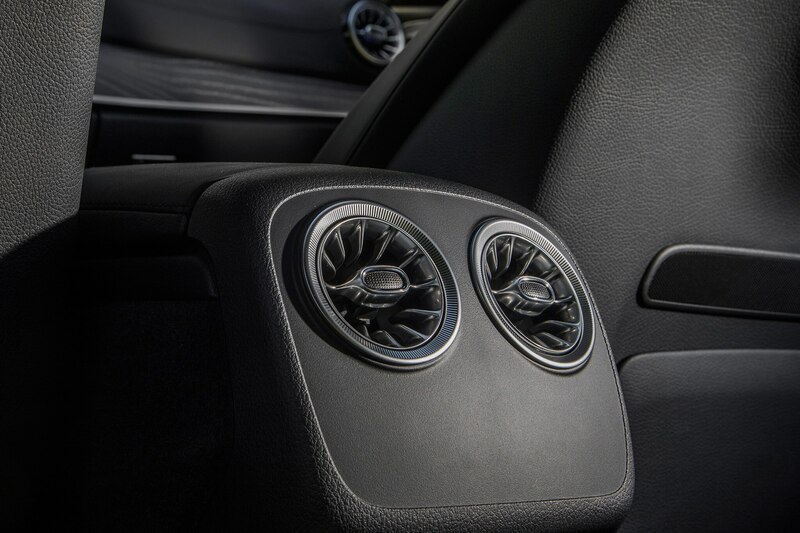 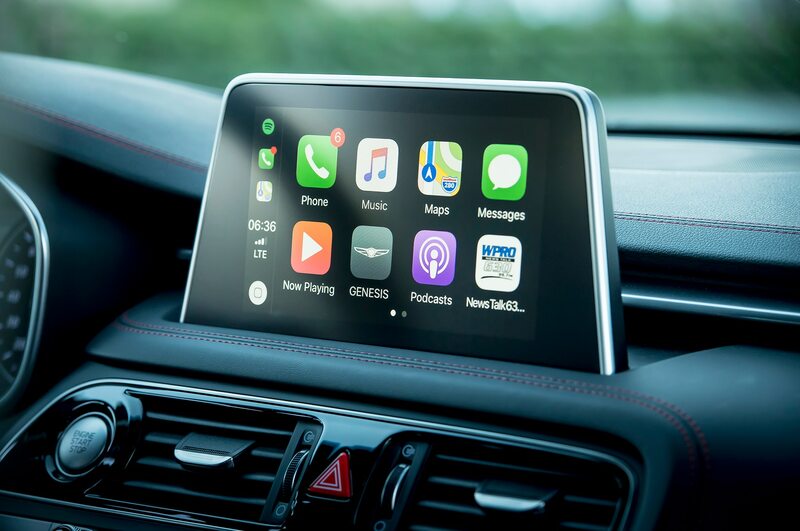 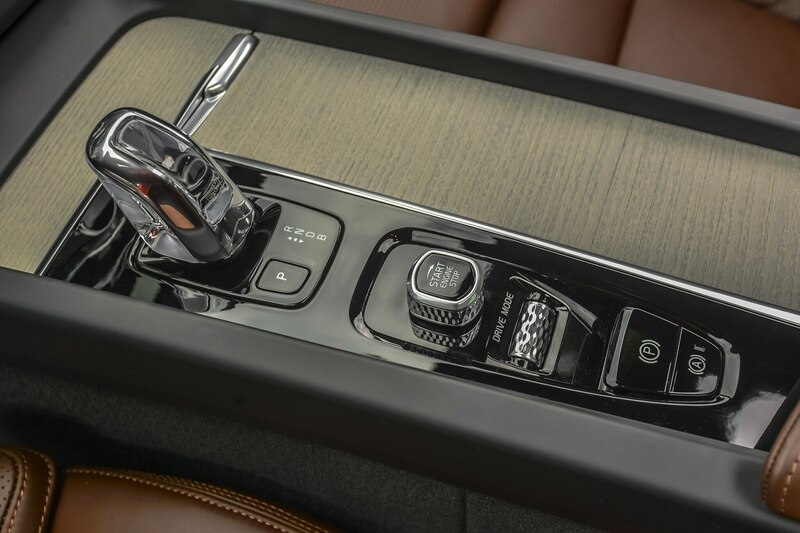 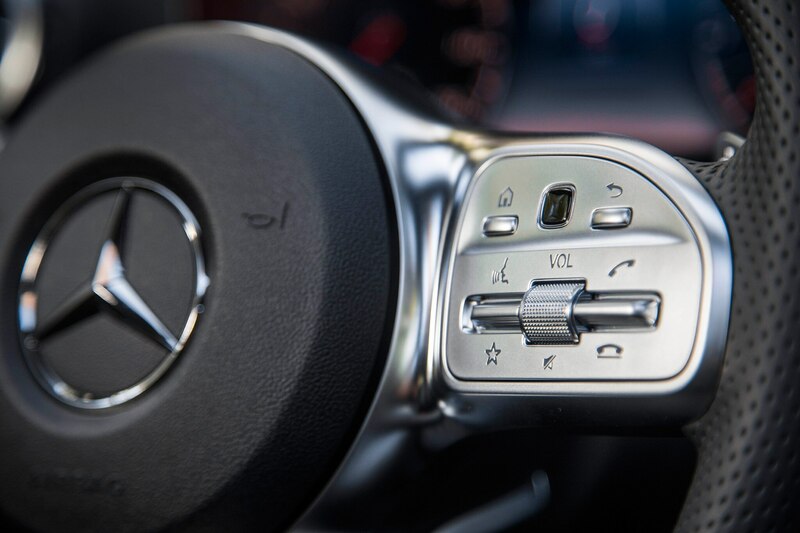 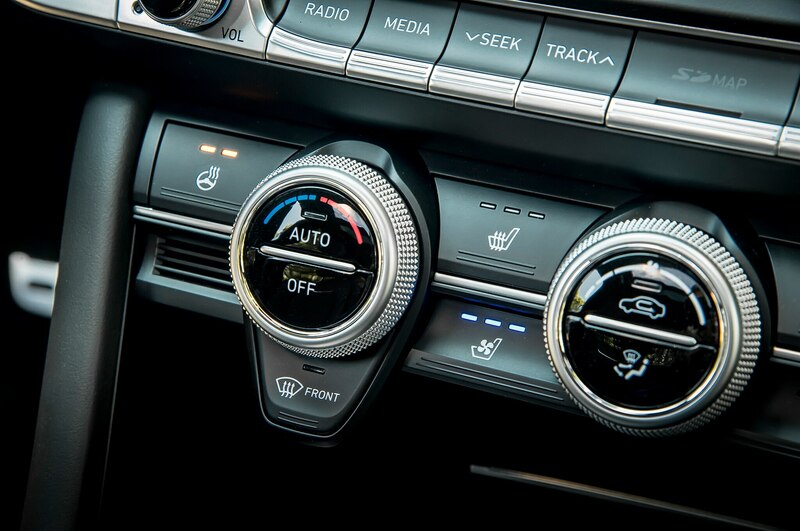 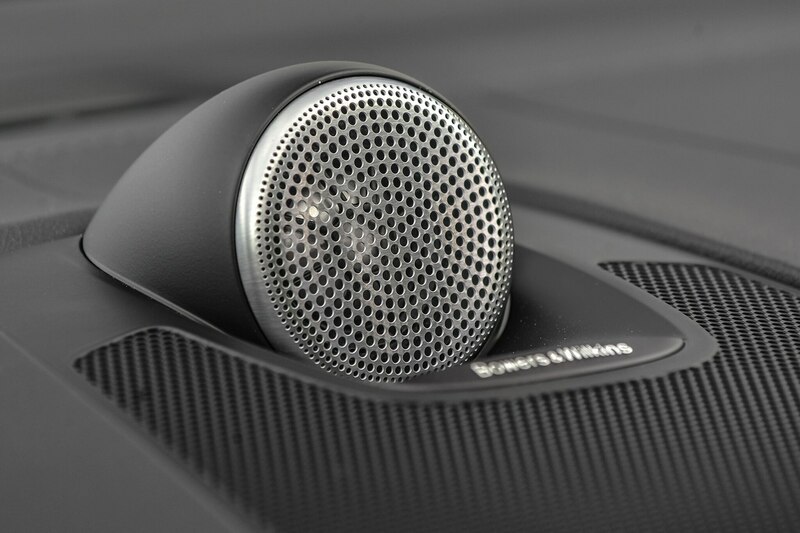 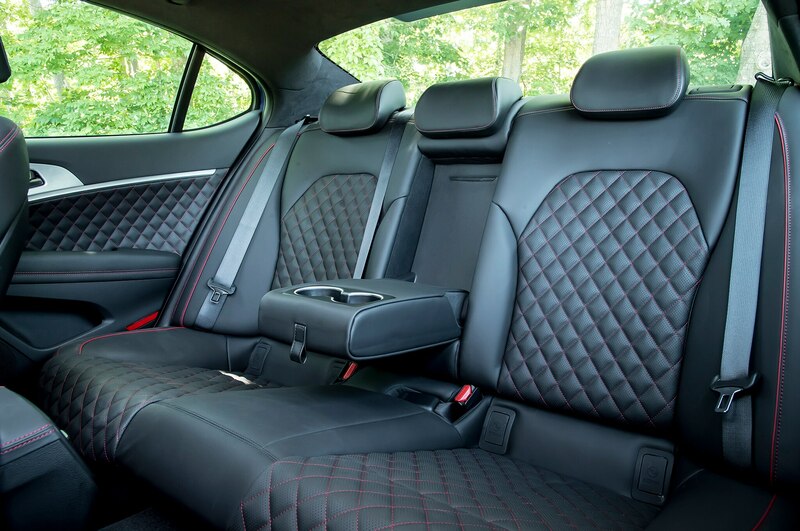 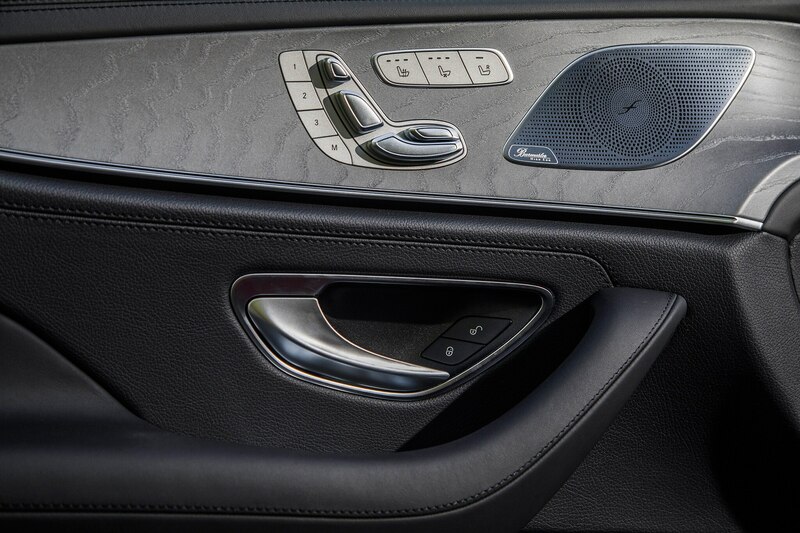 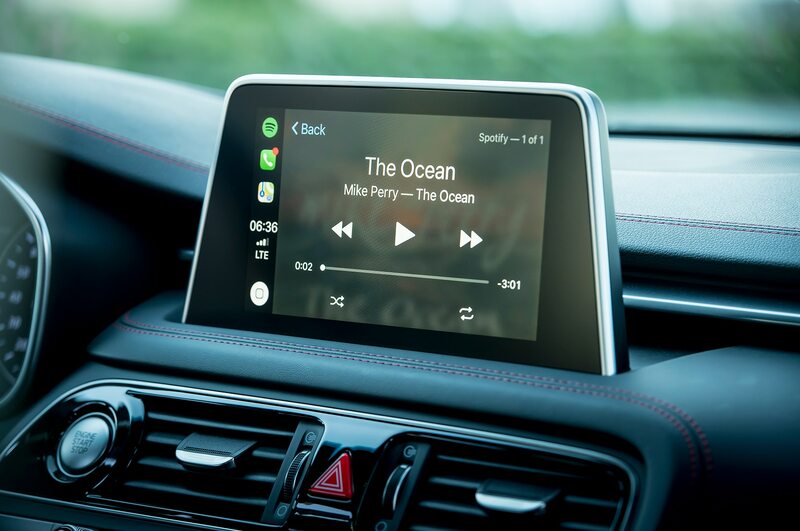 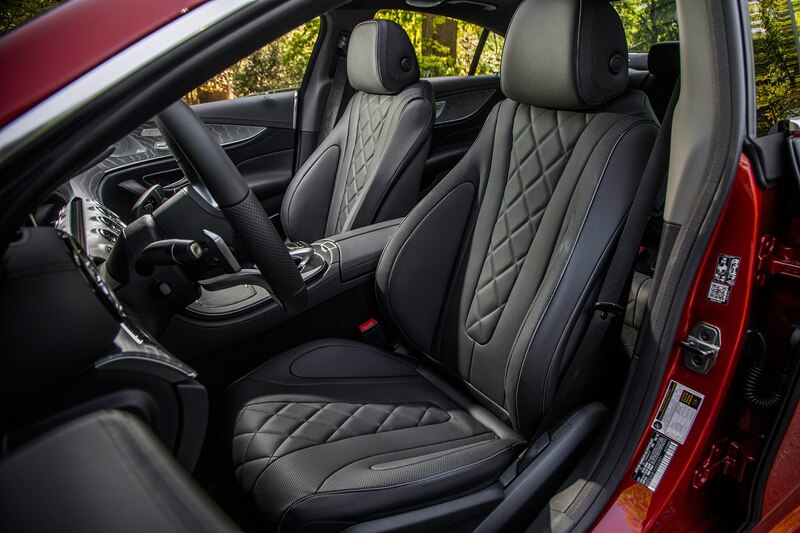 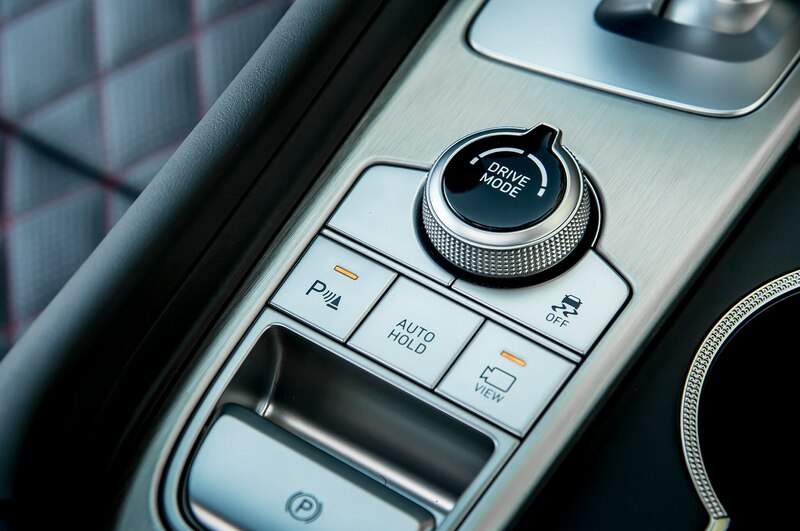 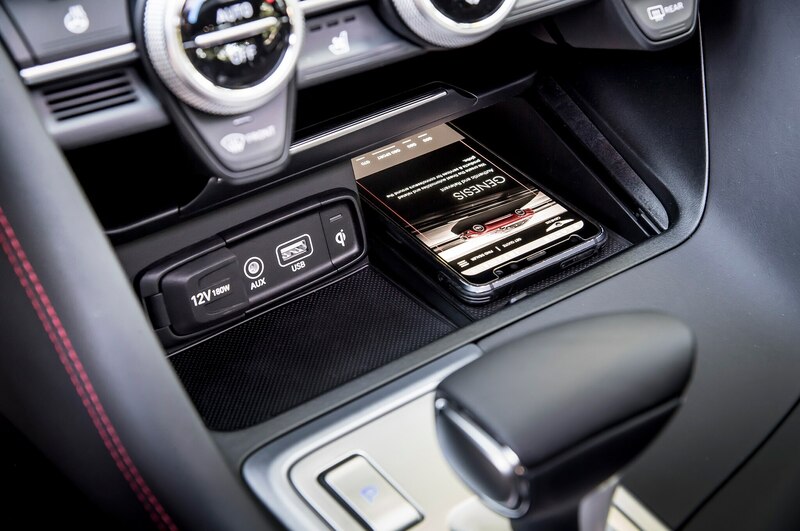 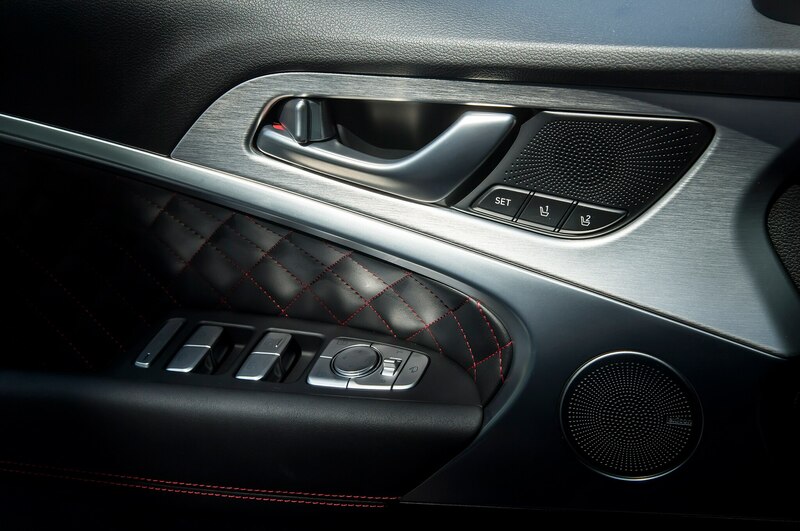 It’s almost as though all the involved manufacturers’ design departments were issued a tightly defined industry-wide set of specifications along with instructions not to stray too far from an agreed-upon norm for acceptable shapes and details. 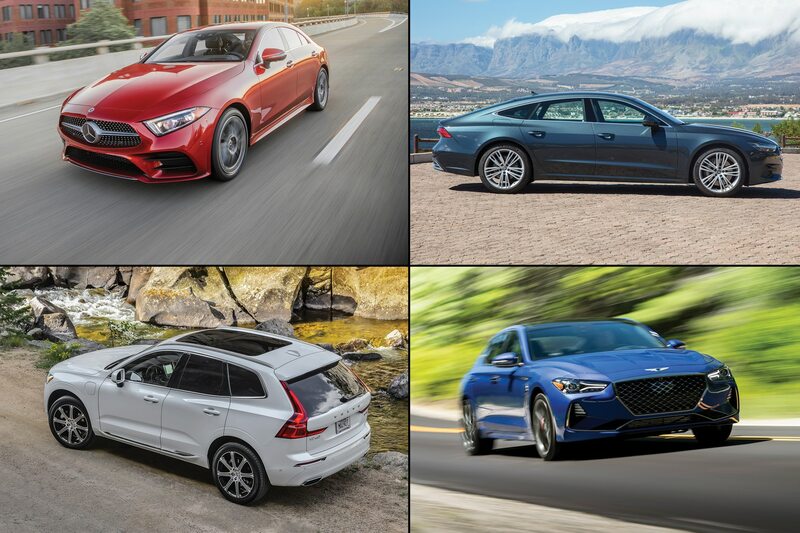 Every one of these cars is practical, aerodynamically correct, and well-engineered, and all would be easy to live with for a number of years. 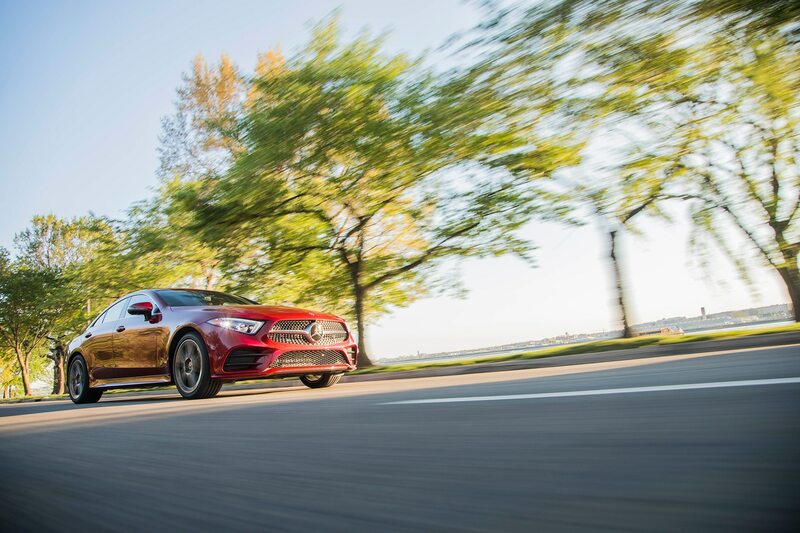 But in terms of excitement, surprise, delight, and strong individual character, well, apparently that wasn’t part of the assignment this year. 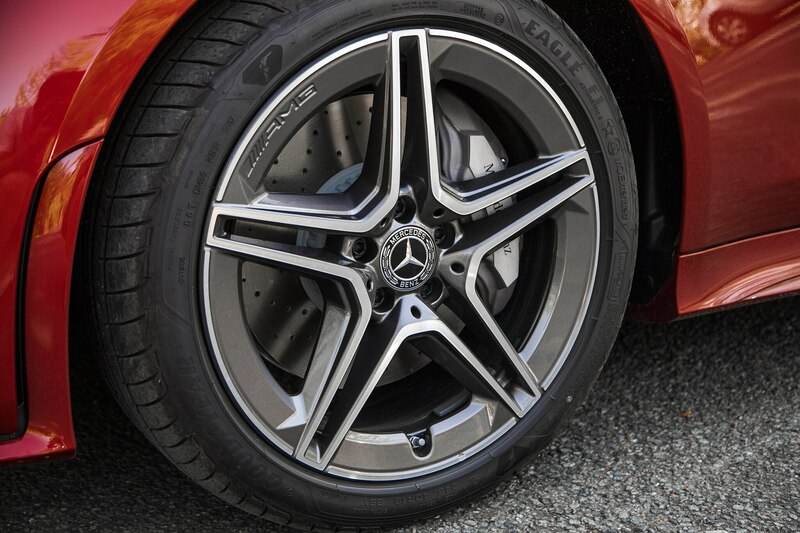 Finely creased, admirable stance, similar to rivals. 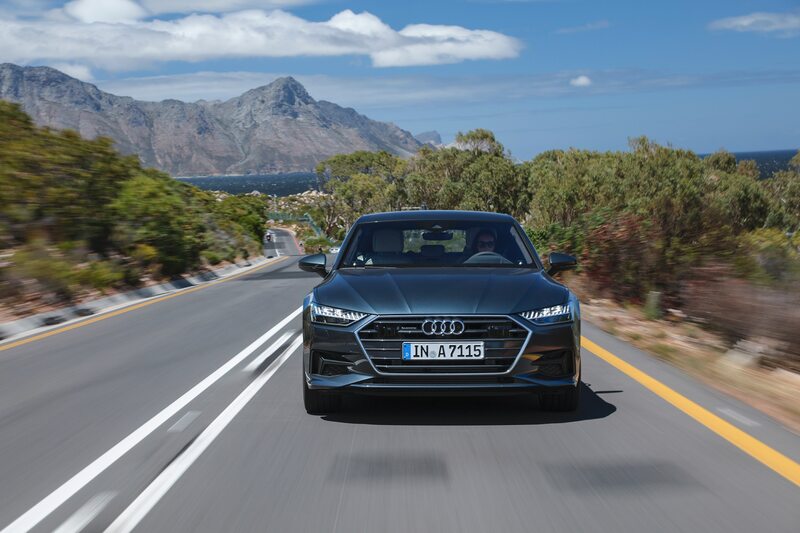 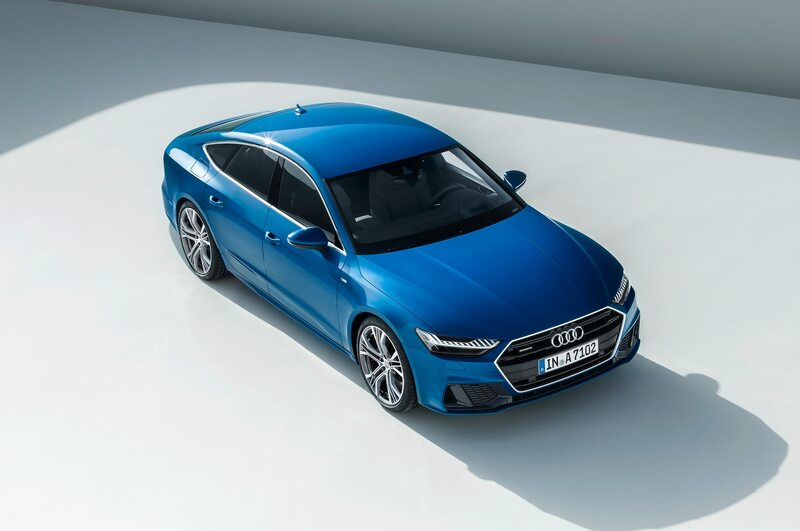 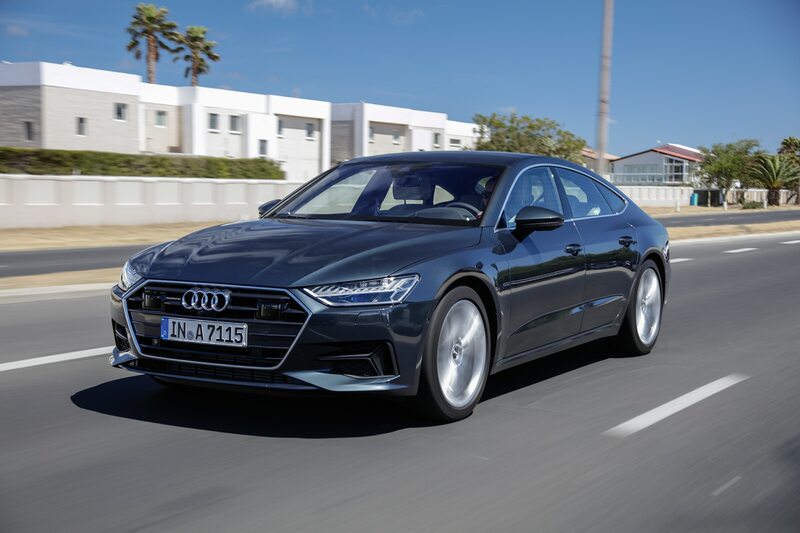 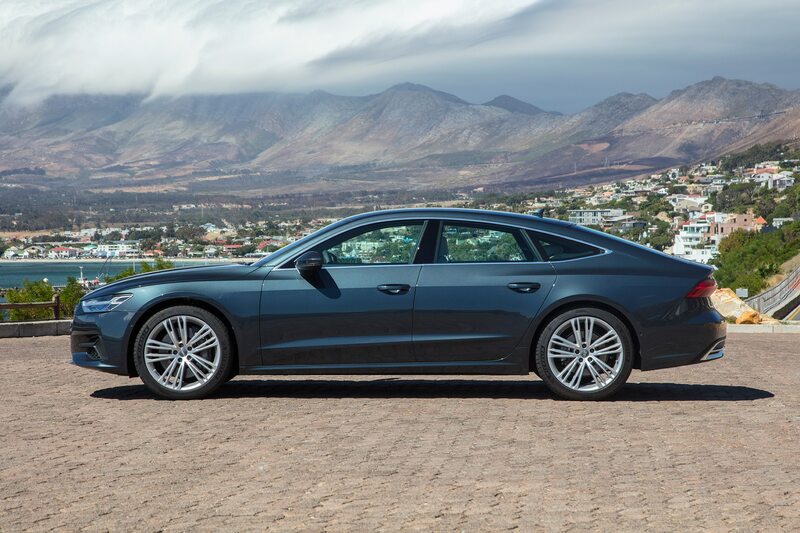 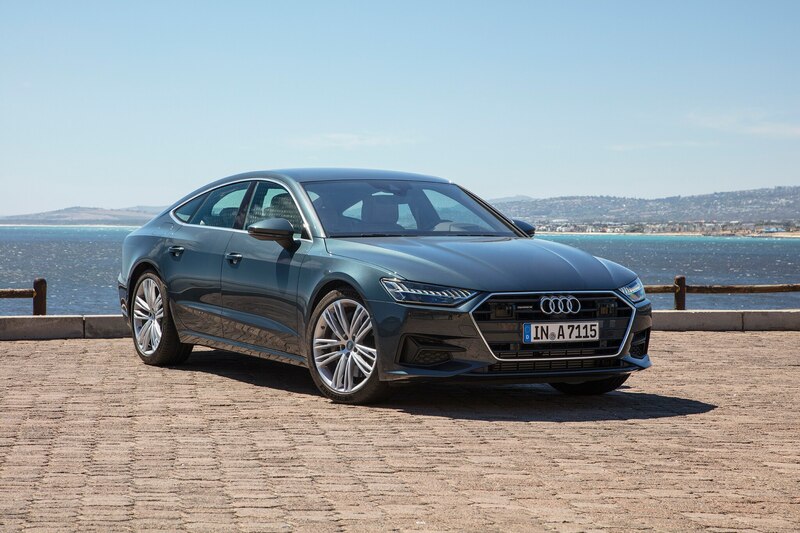 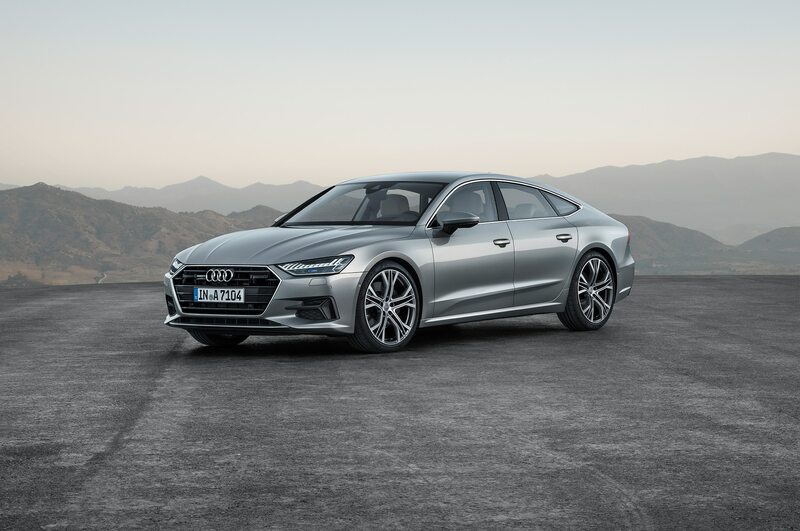 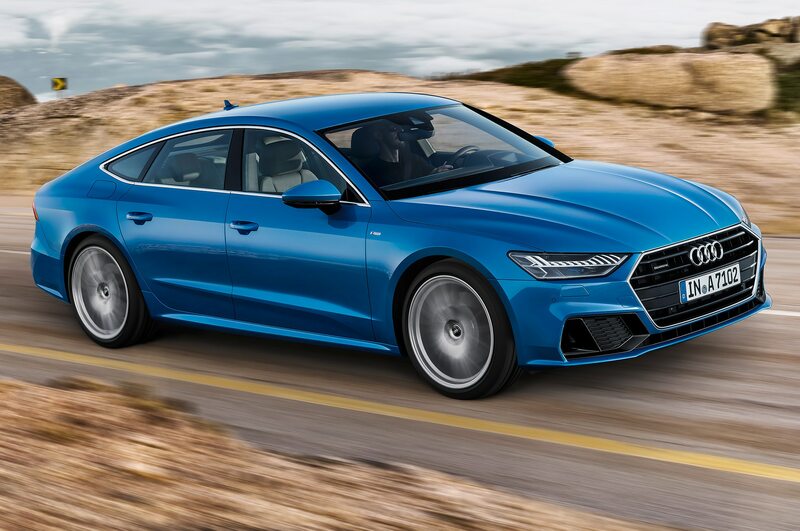 We have long recognized Audi’s outstanding design qualities—its A5 was our 2009 Design of the Year—so it is no surprise the A7 should be on the staff’s short list as a contender once again. 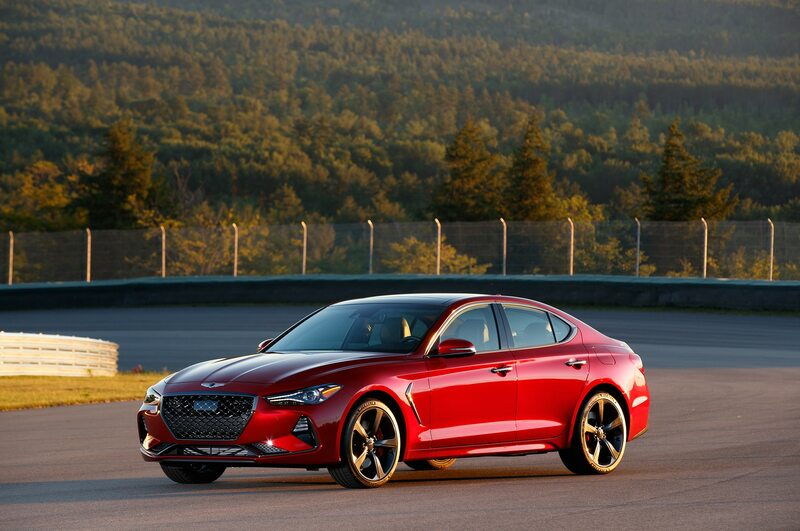 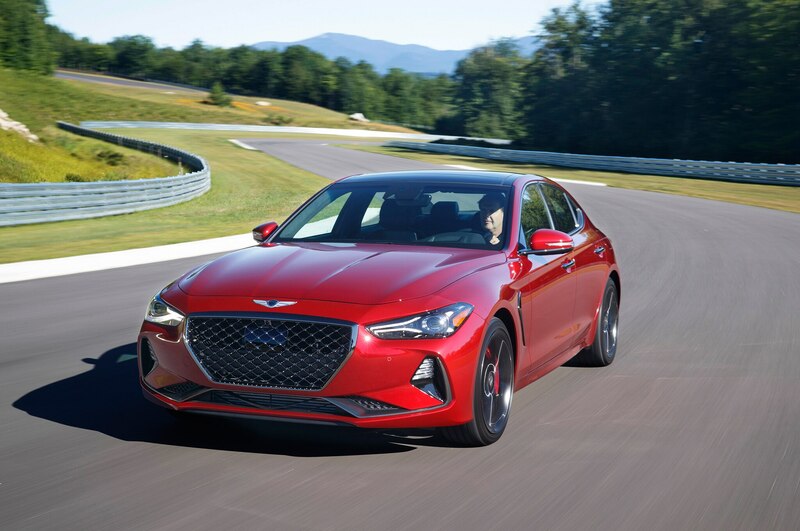 But as we noted in the introduction, the same words serve as an accurate and adequate description of the other sport sedans on the roster this year as well. 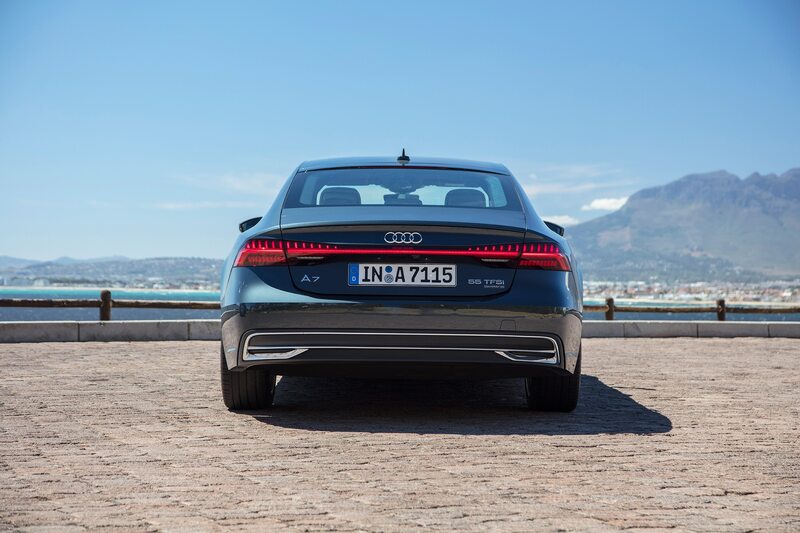 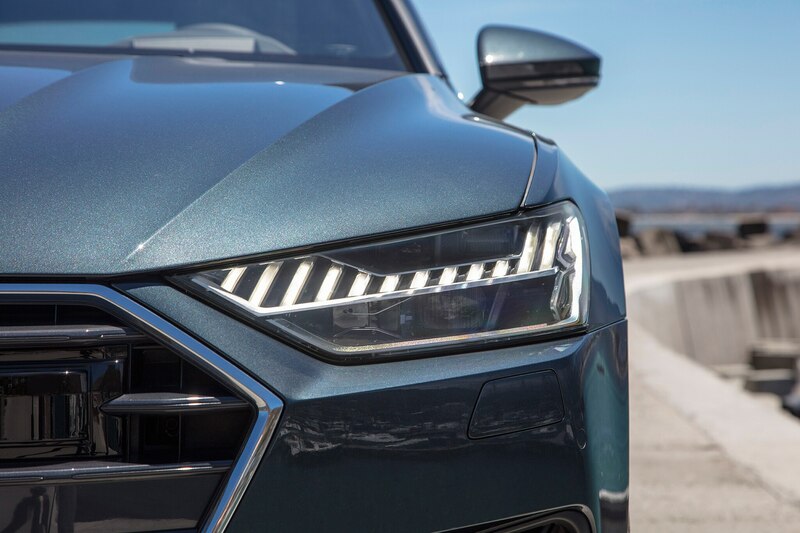 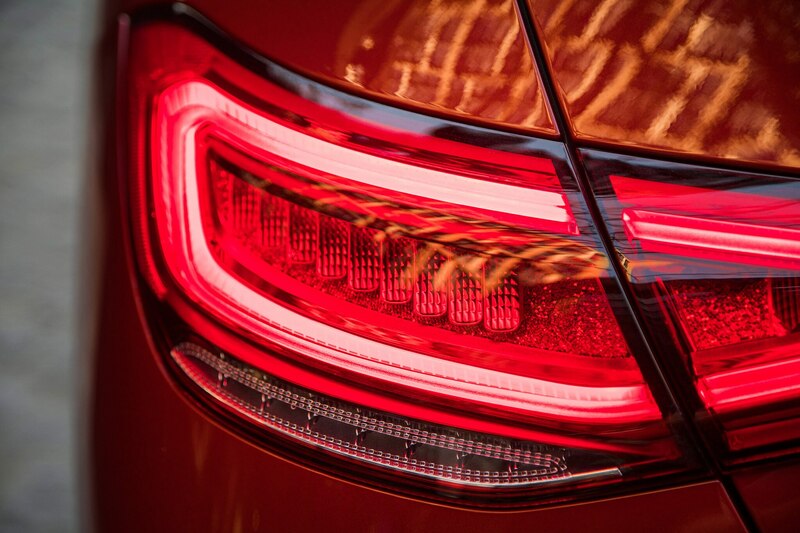 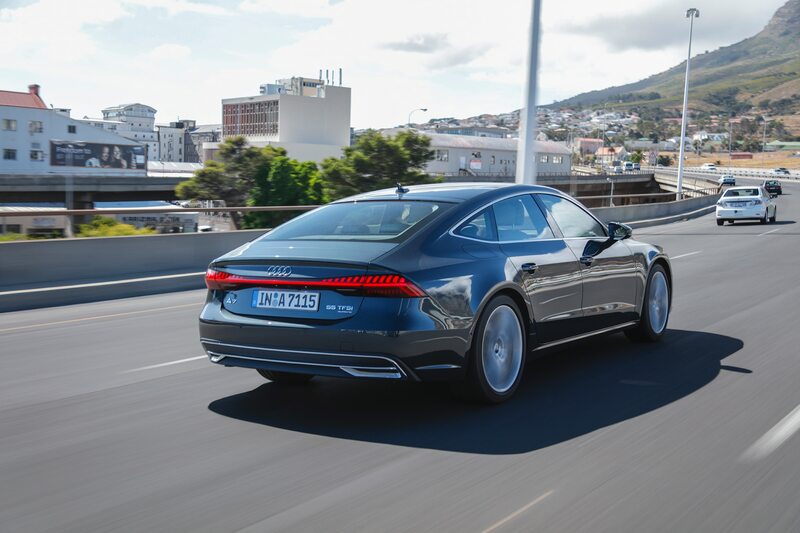 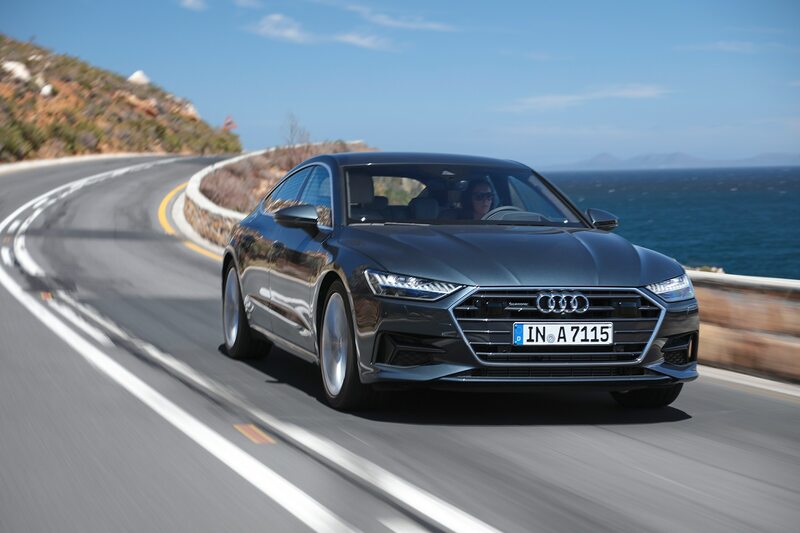 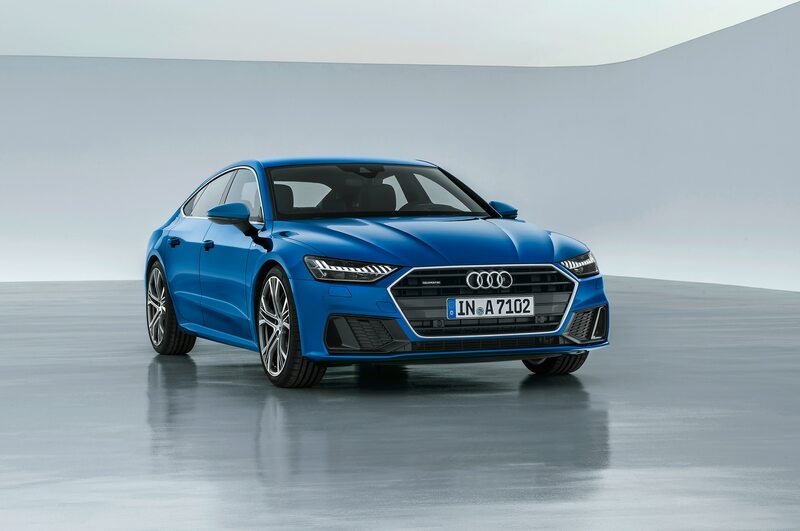 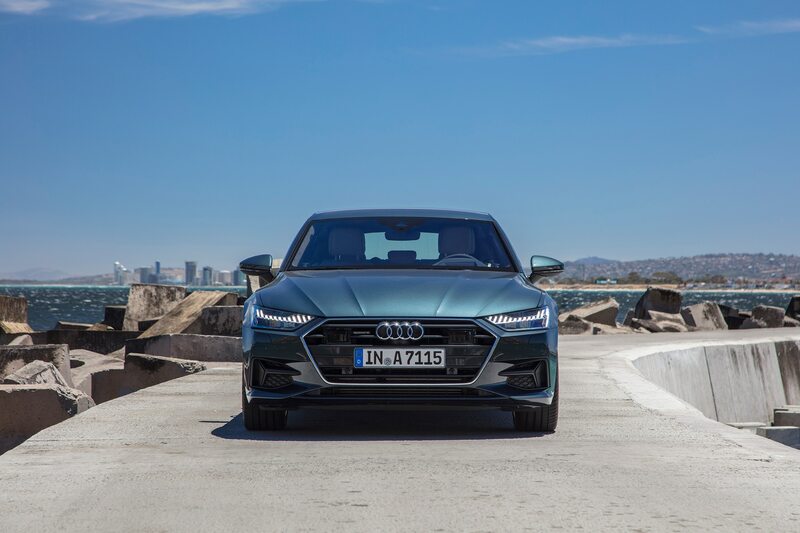 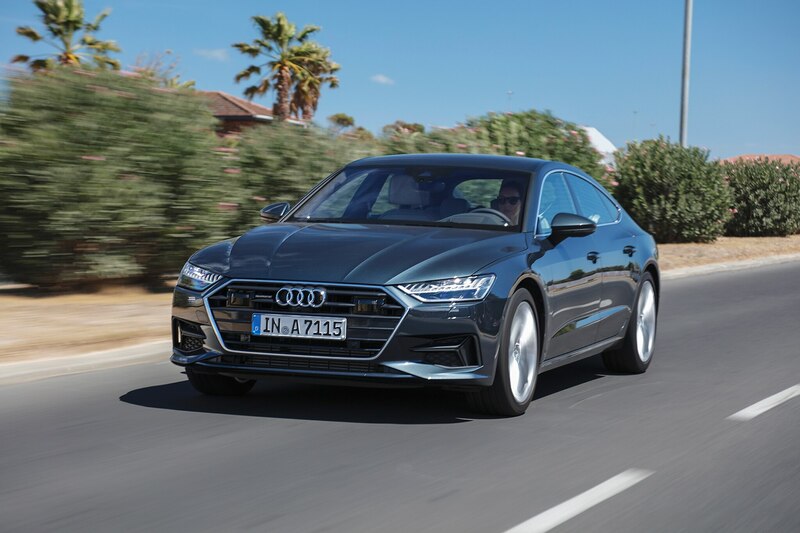 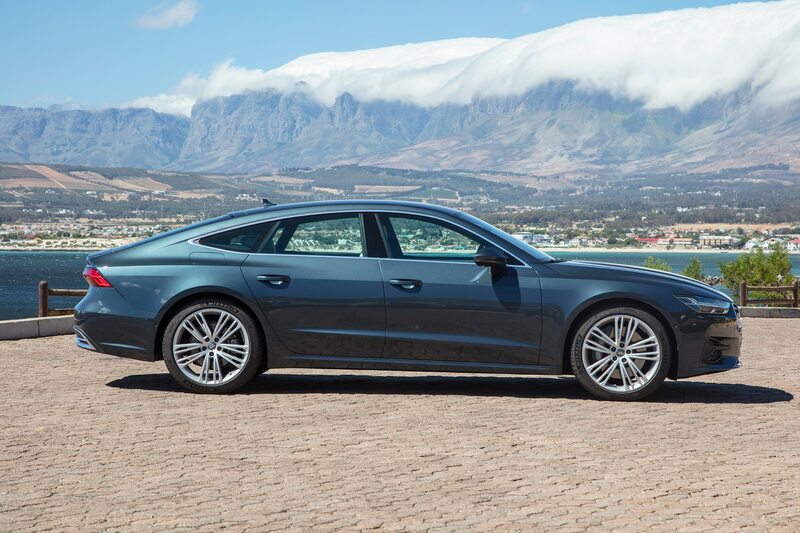 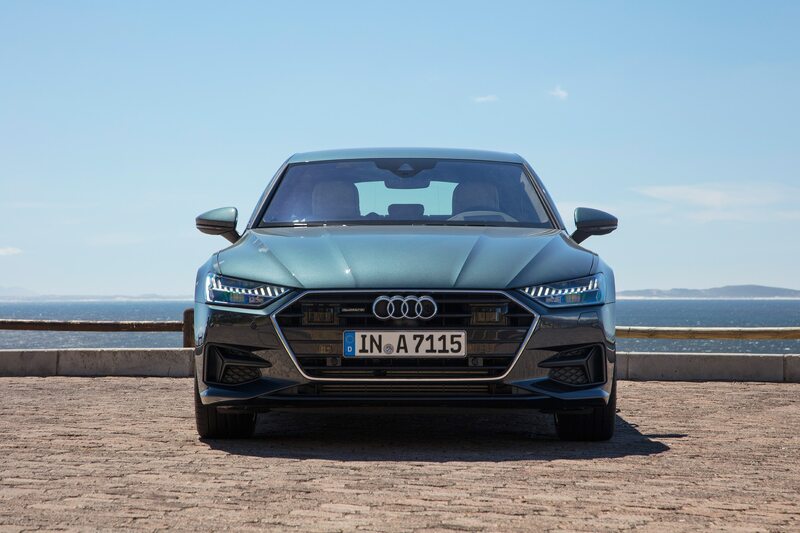 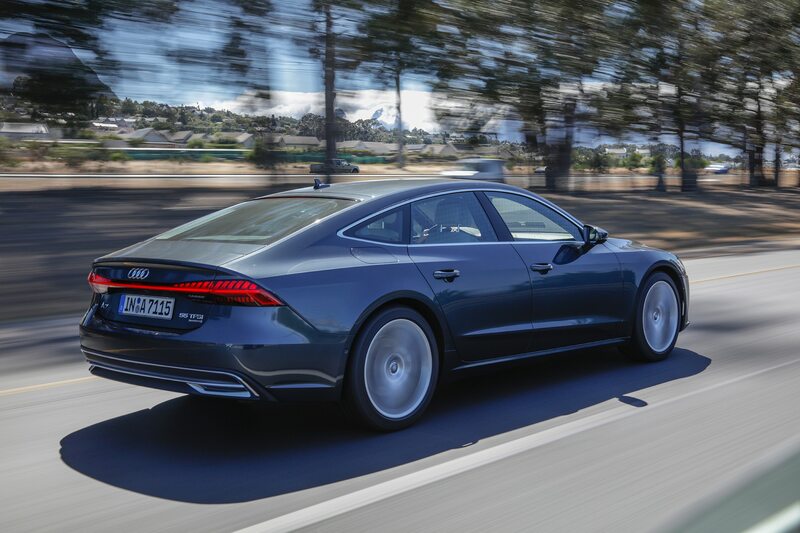 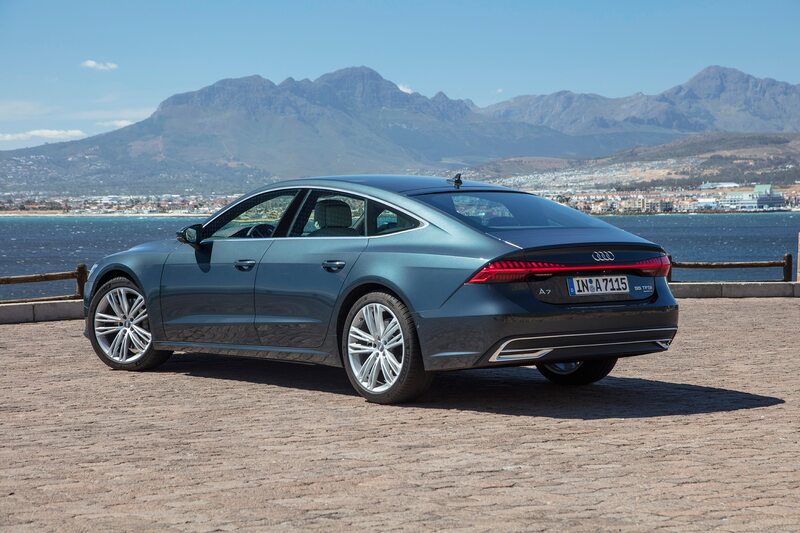 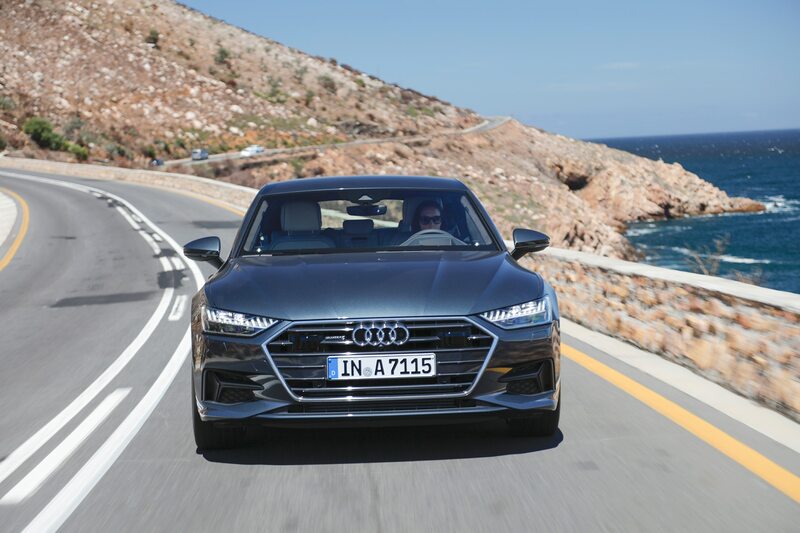 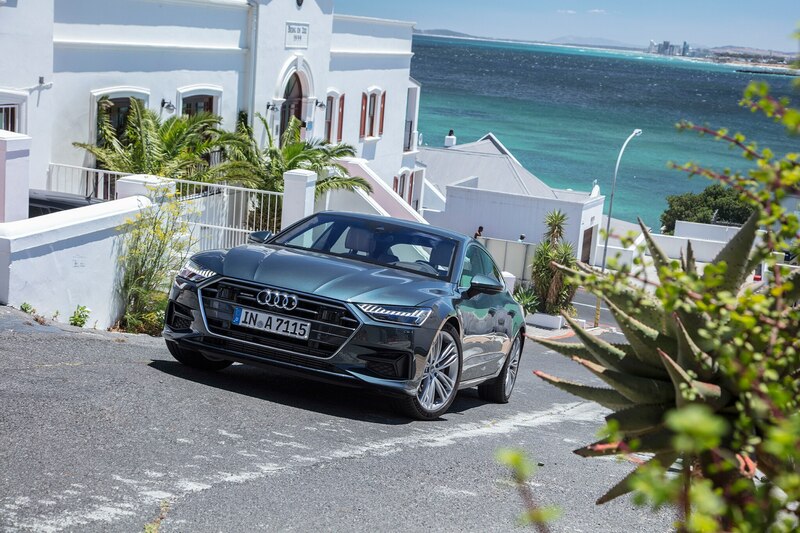 There’s nothing significant to distinguish the A7 from its rivals visually, apart from the four-ring badge. 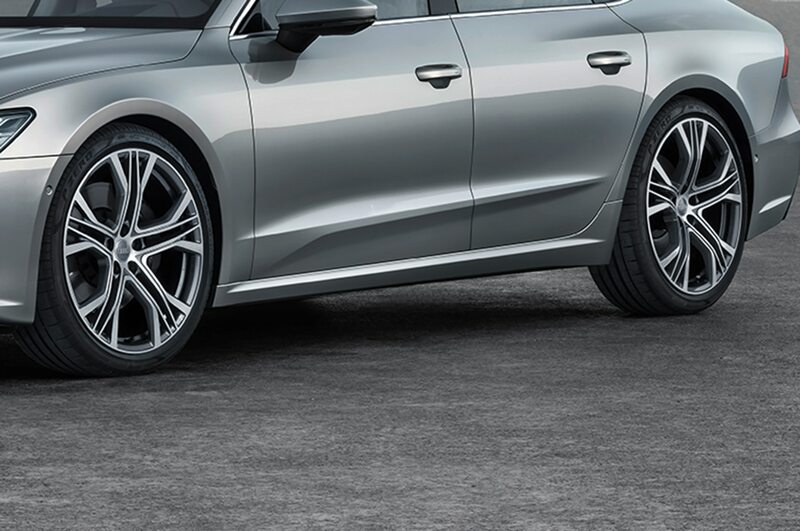 It’s a well-shaped, carefully assembled car with excellent fit and finish, and of course it has the hallmark Quattro all-wheel-drive chassis. 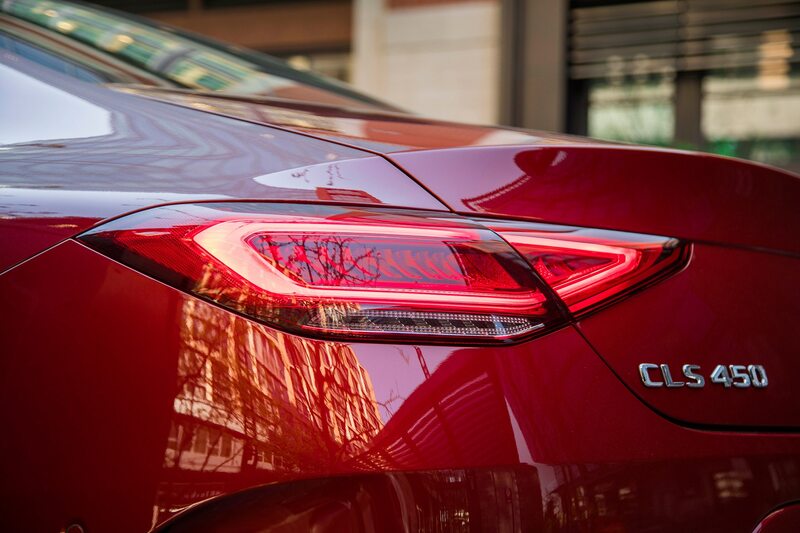 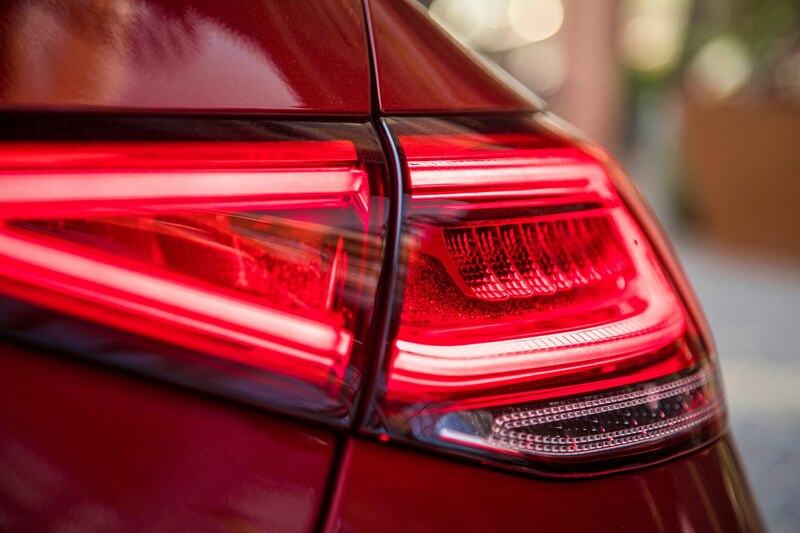 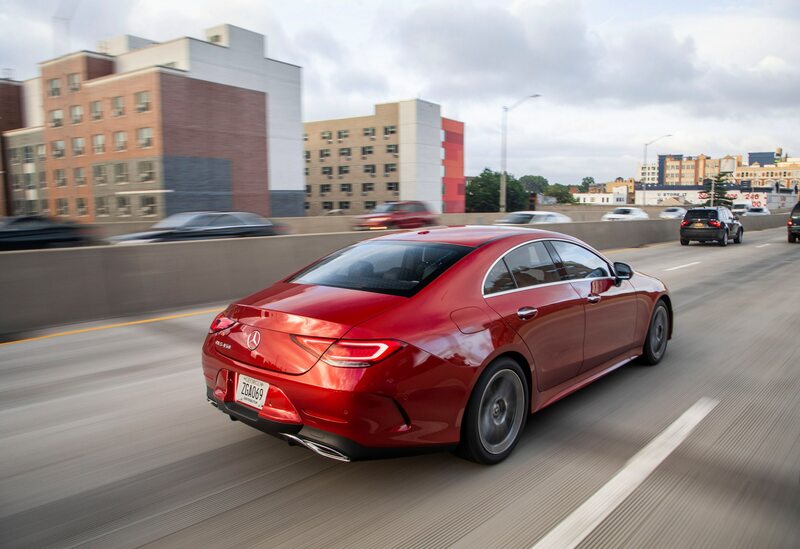 We particularly admire the rear fender-defining crease that begins in the rear door skin and dissipates in the body side before reaching the rear lamps, but one very nice surface feature does not elevate the design above the other offerings in the segment. 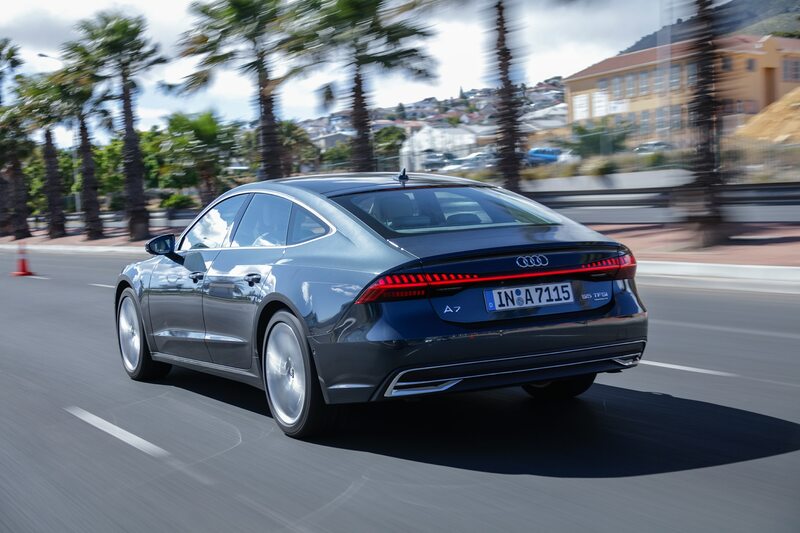 The A7 has a particularly nice stance, with its big wheels filling their openings in the body side quite harmoniously. 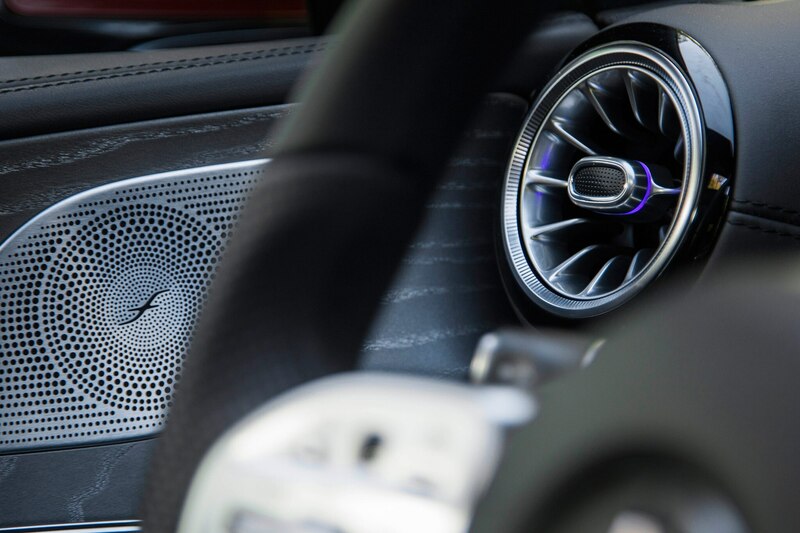 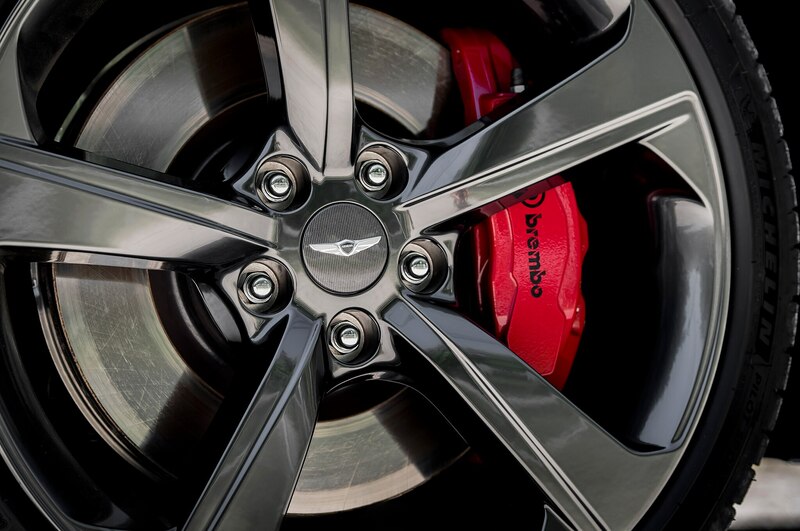 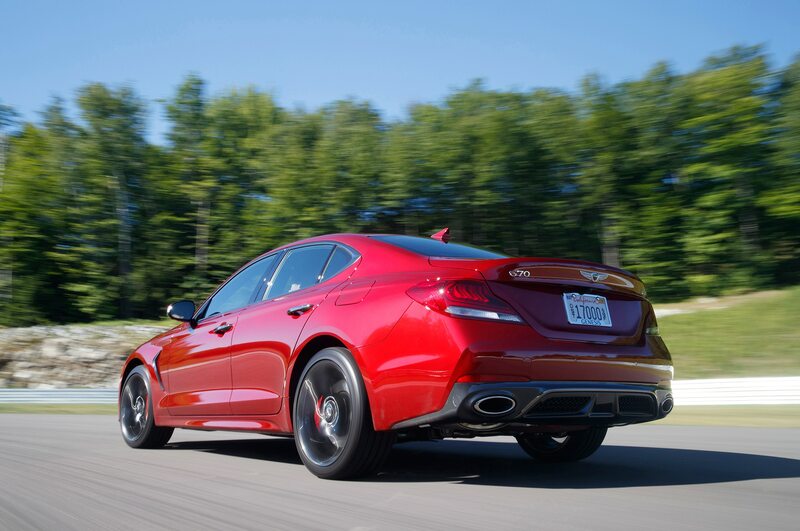 Altogether, this is an admirable automobile, but it’s not a Design of the Year this time. 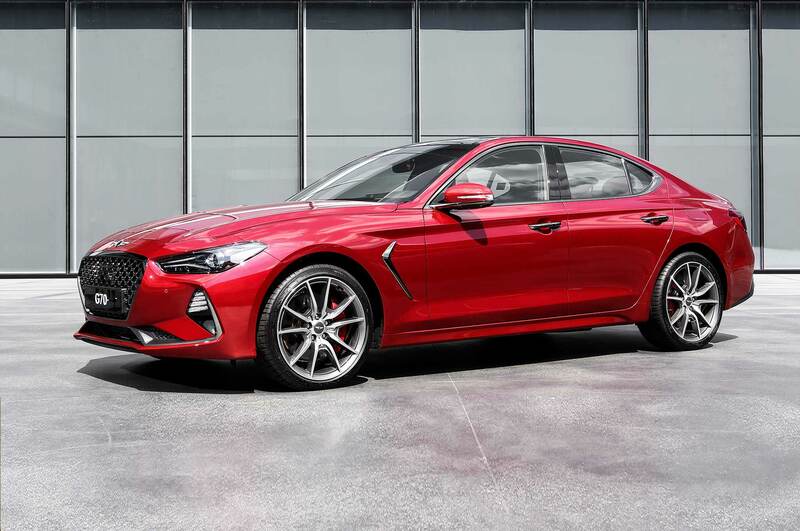 Some driver reports have this midrange sedan being more like traditional BMW sport sedans than recent cars from Munich themselves—not too surprising, given that ex-BMW M division boss and present Hyundai performance development head Albert Biermann oversaw making it behave the way we’d all like any sedan to be: precise, sporty, comfortable, and fast. 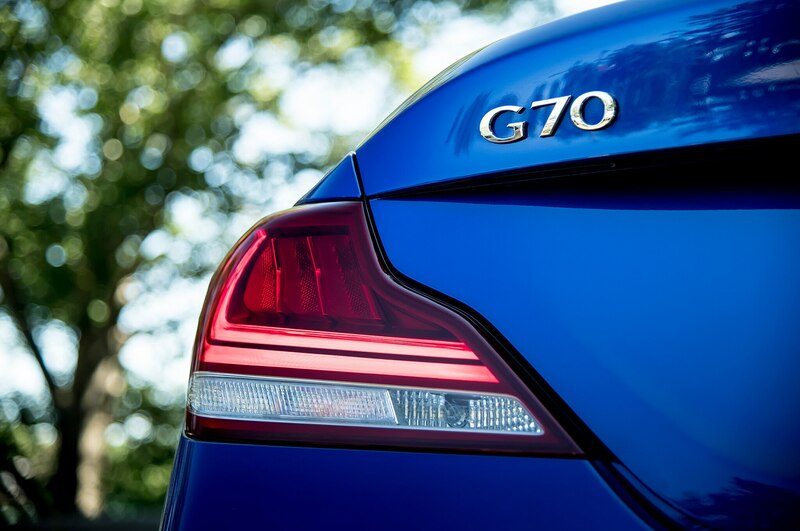 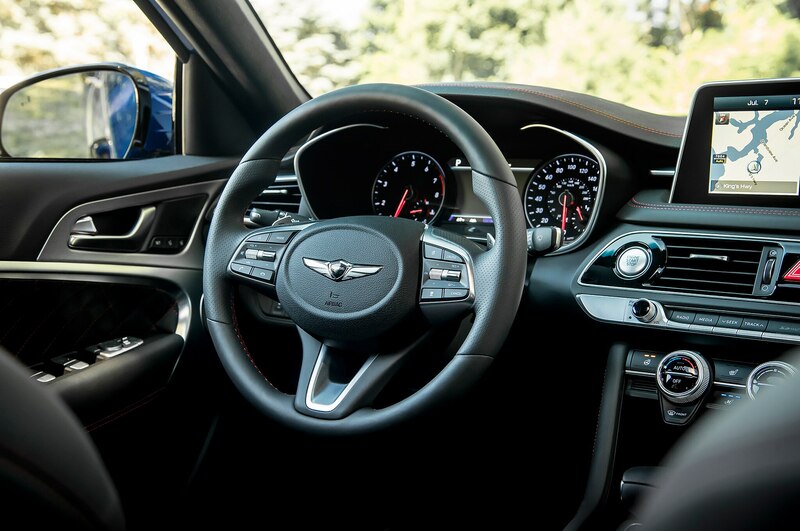 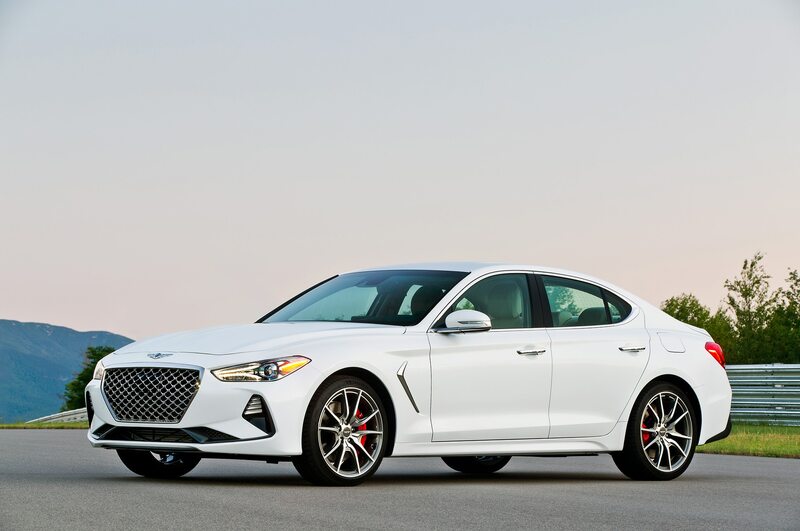 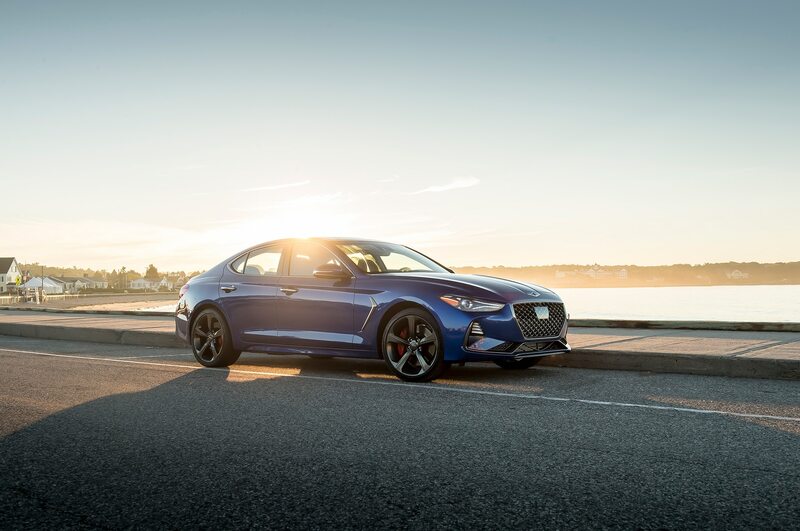 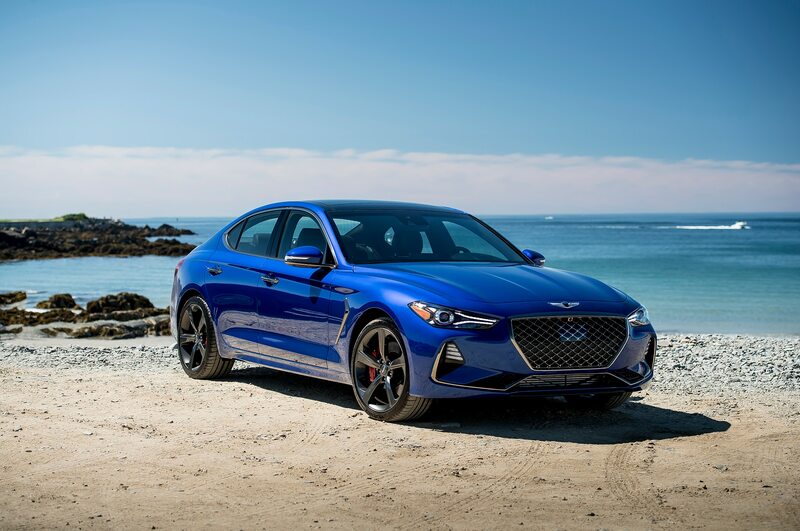 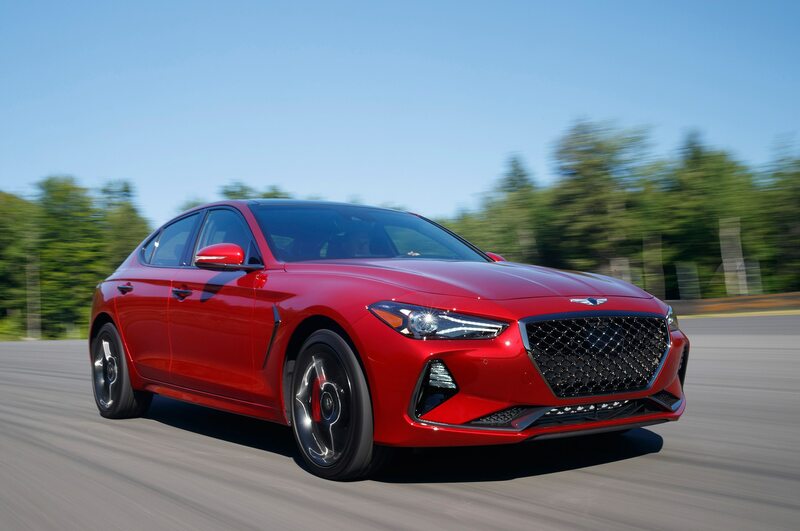 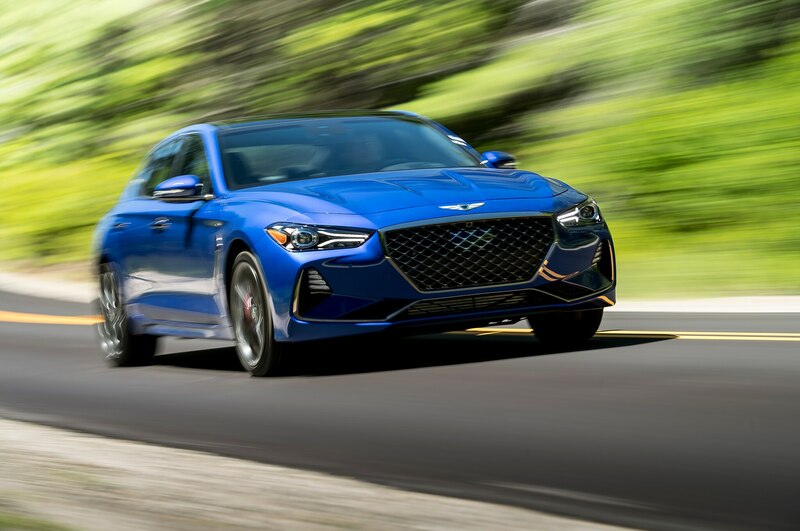 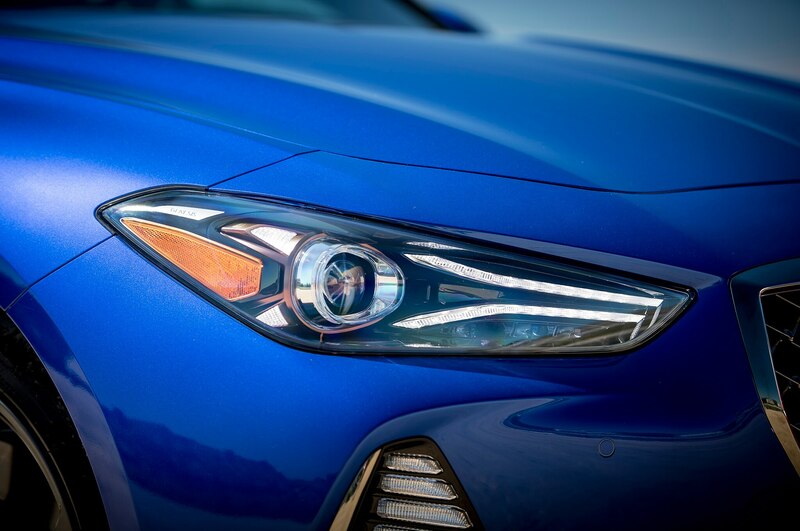 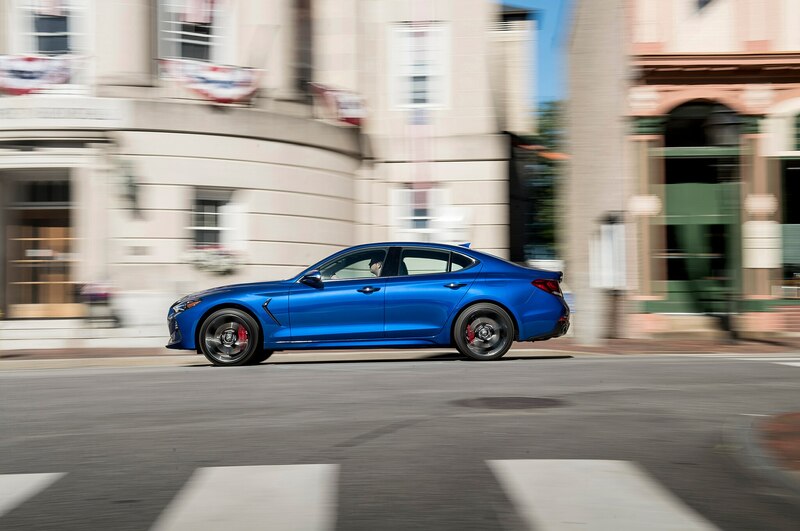 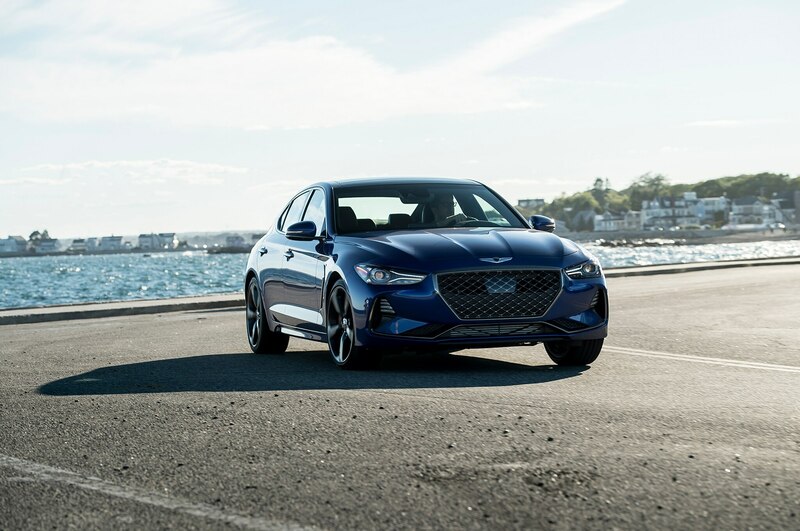 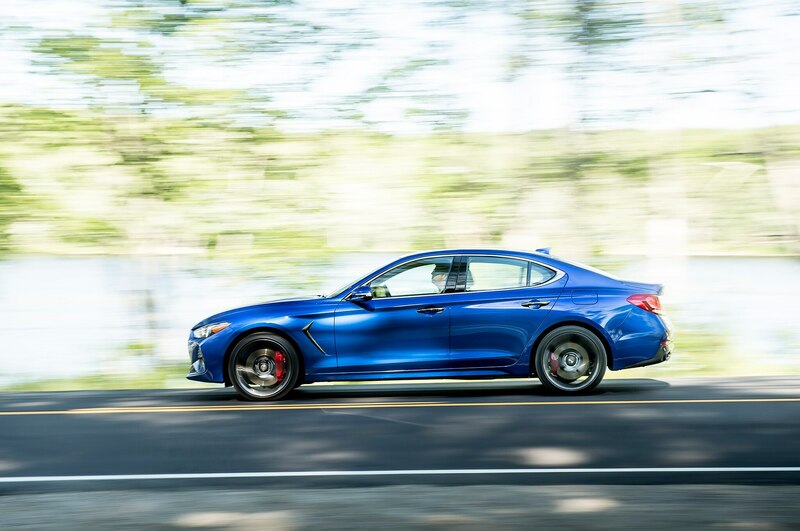 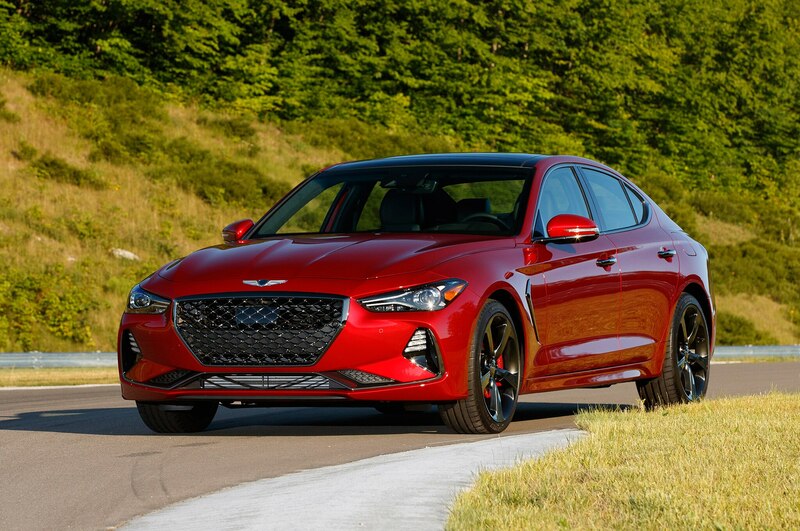 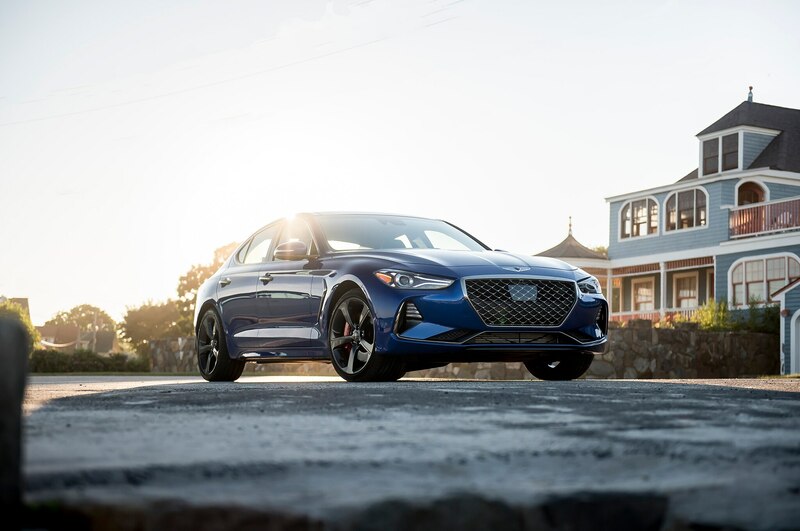 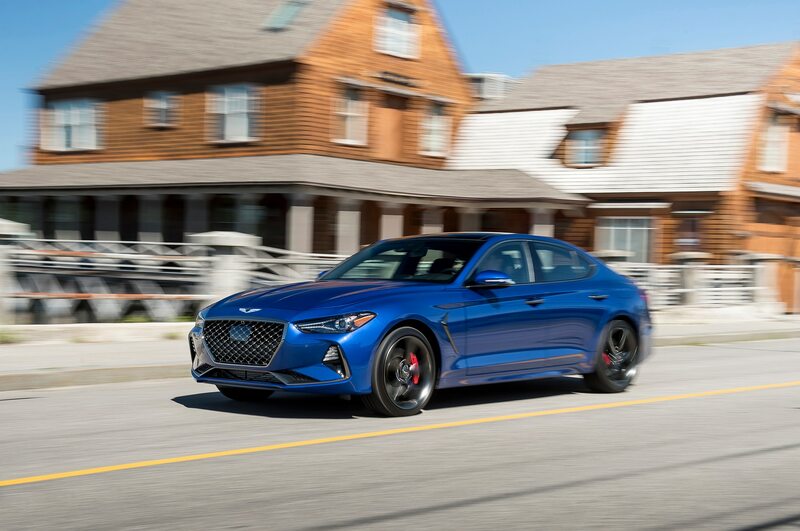 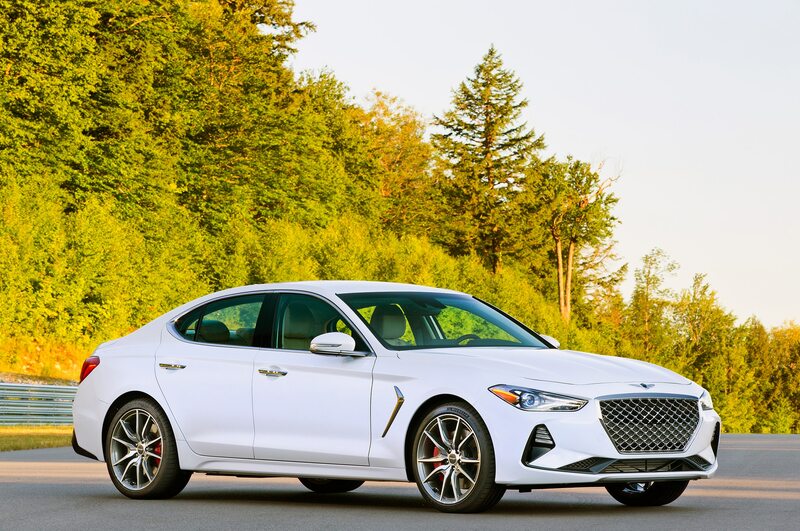 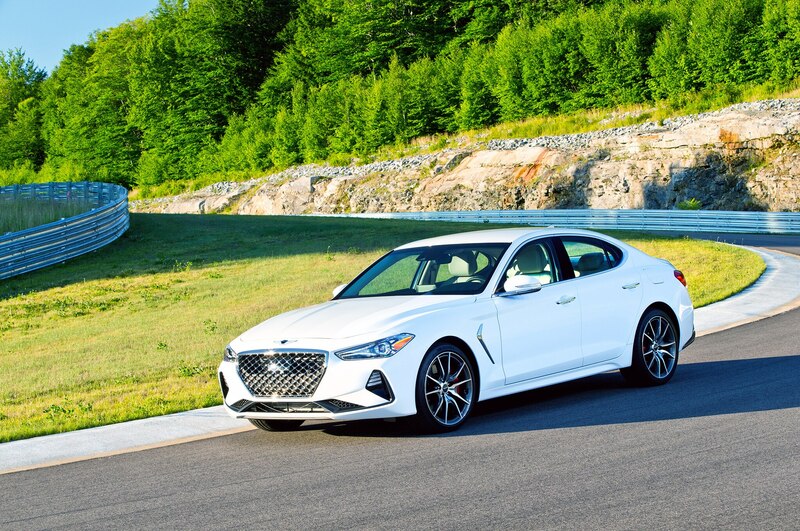 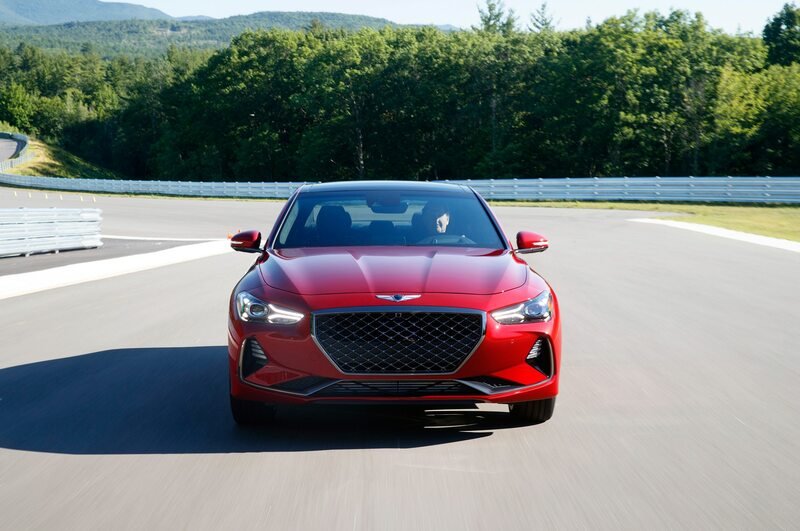 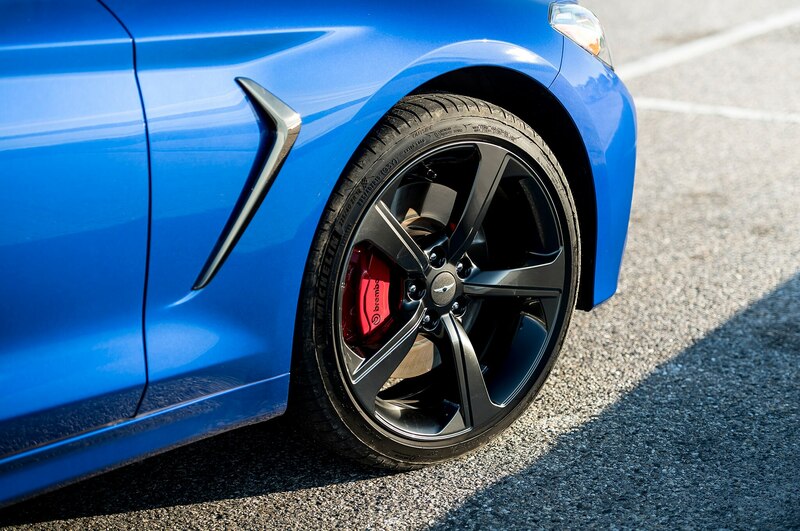 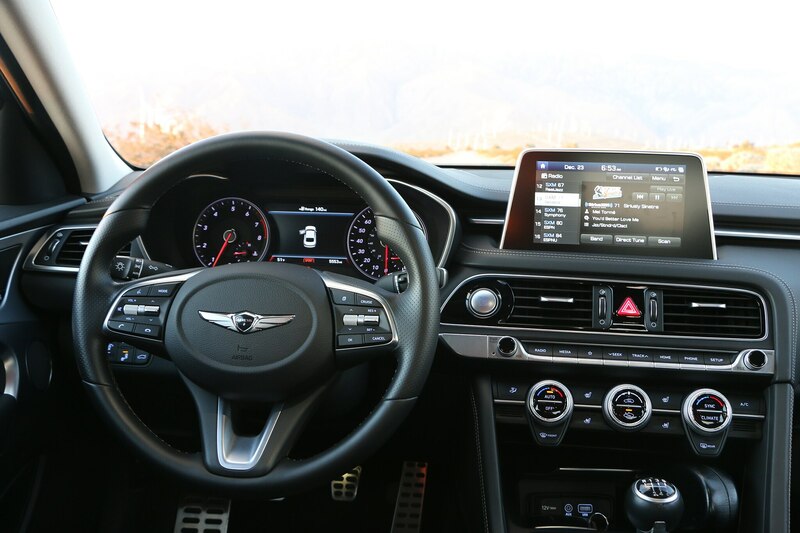 We particularly like the G70‘s sparing but tasteful use of bright trim around the lower air intake and the front corner scoops, but we dislike the cheap-looking chicken-wire texture of the handsomely framed grille. 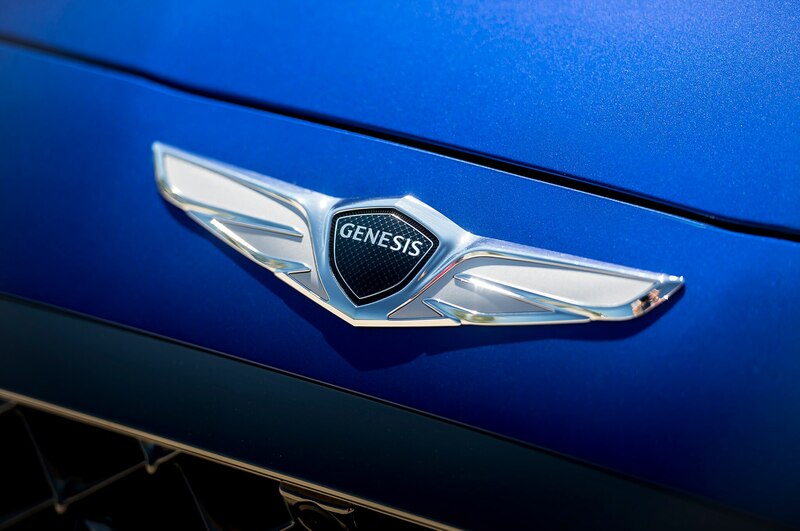 It doesn’t have the class or legitimate historical reference of a radiator-protecting screen on a Bentley, but Genesis doesn’t have a century’s worth of heritage, either. 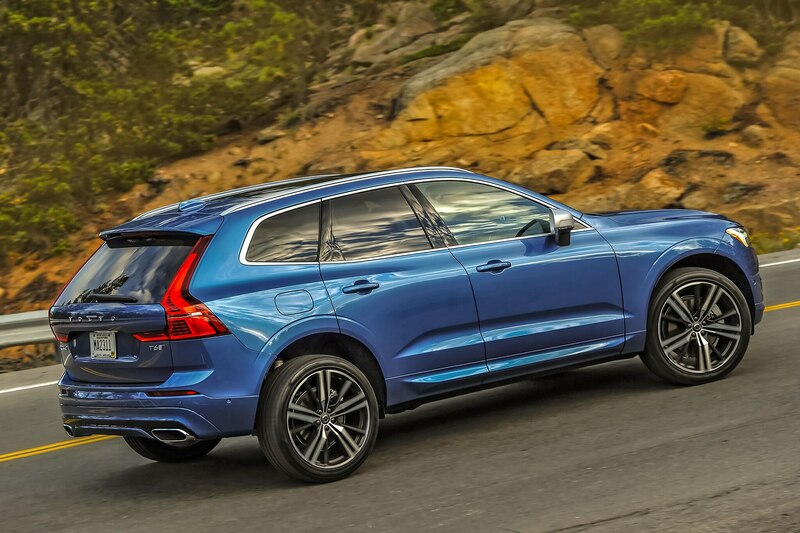 This is a very solid, very good physical shape, but it is uninspiring as well. 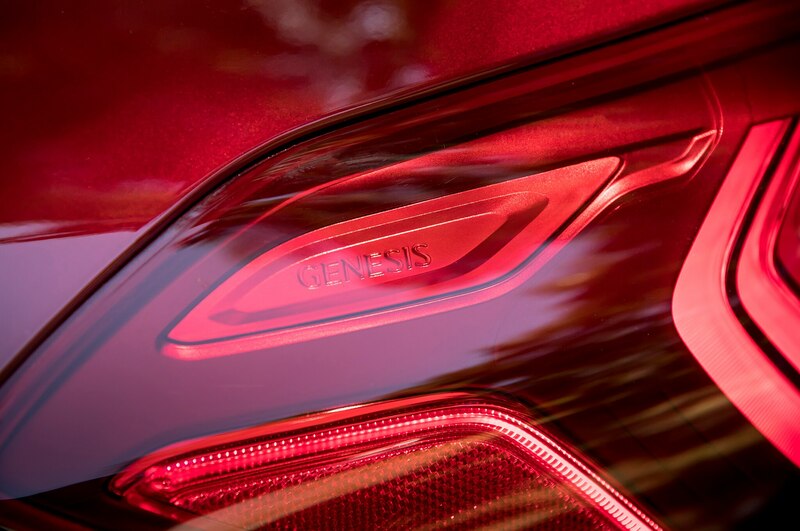 We expect big things from Genesis in the future (see our Concept of the Year story), but this year, it’s an also-ran. 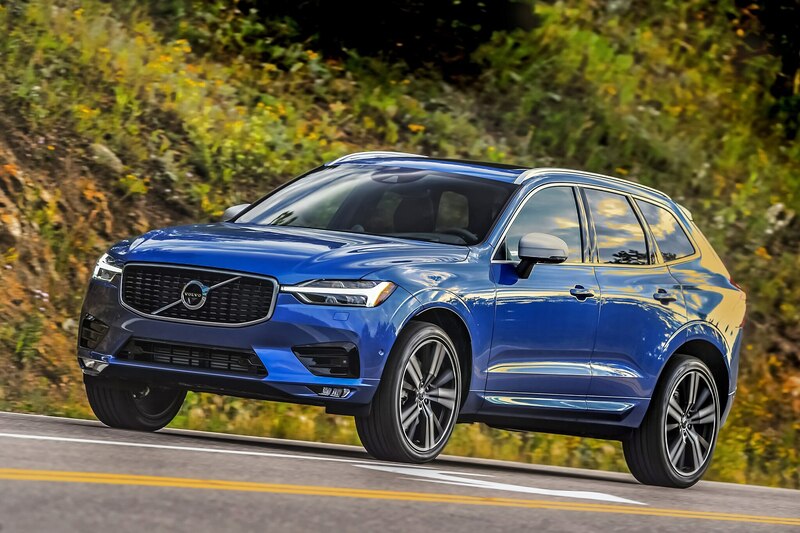 However you might look at SUVs, whether as panel delivery trucks with windows and plush interiors (Cadillac Escalade) or tallish station wagons (Jeep Grand Cherokee) or some in-between variant, they are unquestionably popular, so much so that some of our editors thought we really ought to consider one as a Design of the Year. 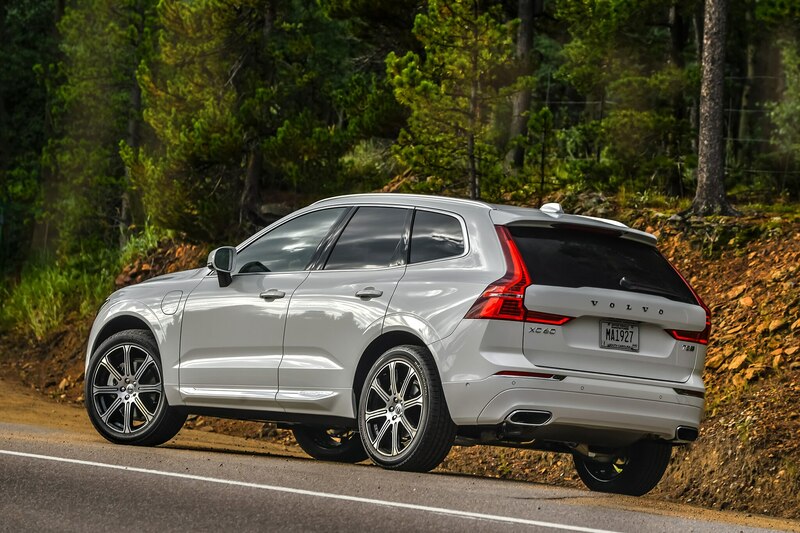 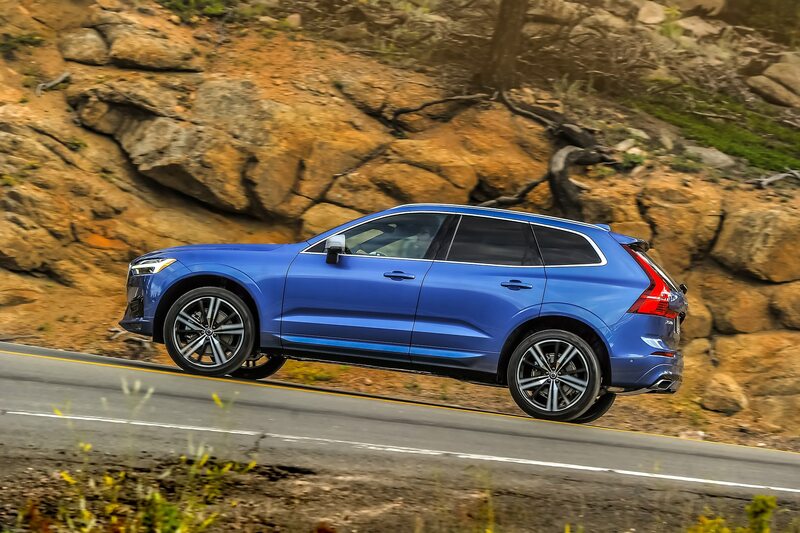 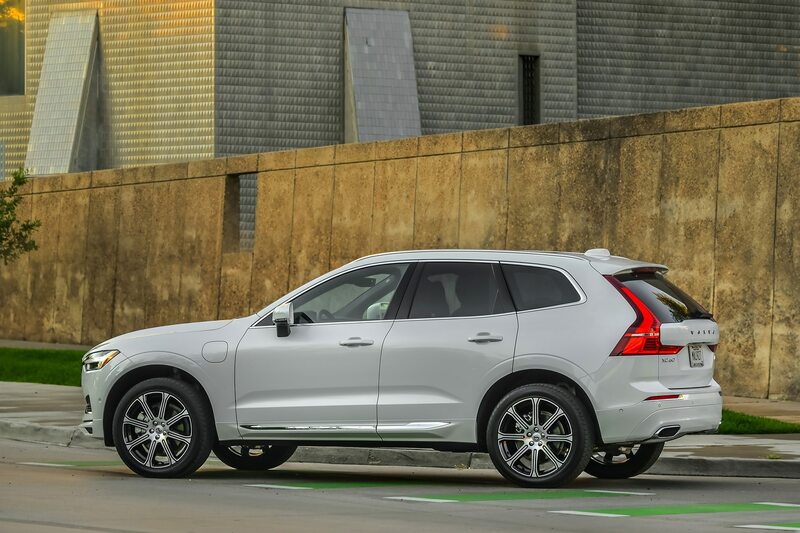 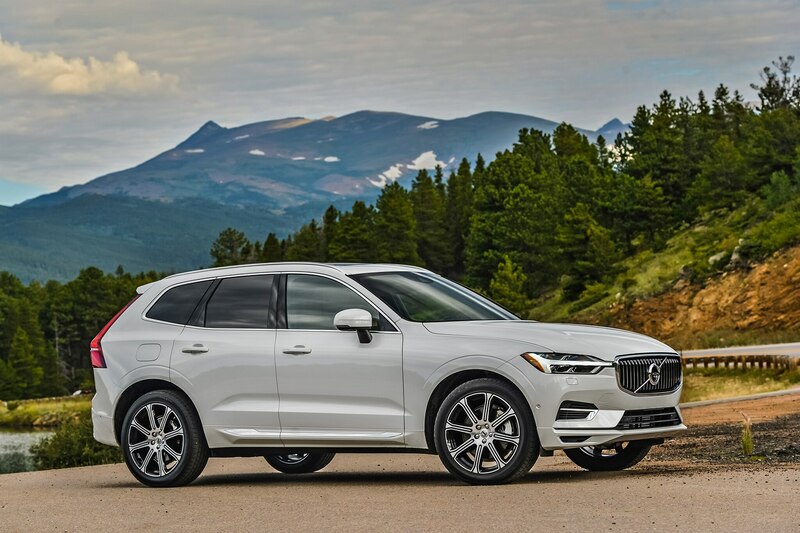 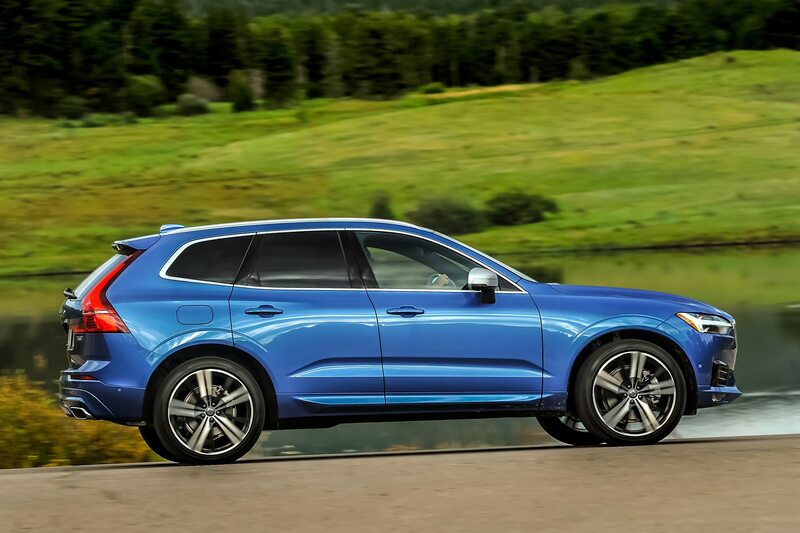 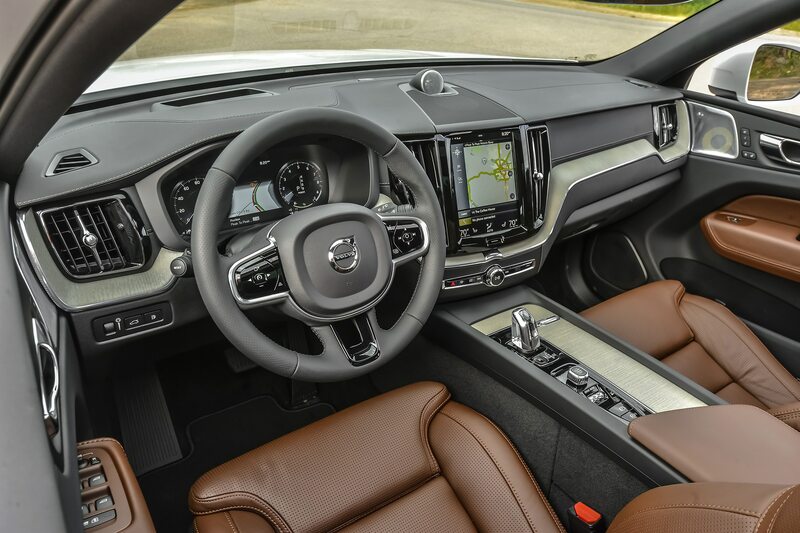 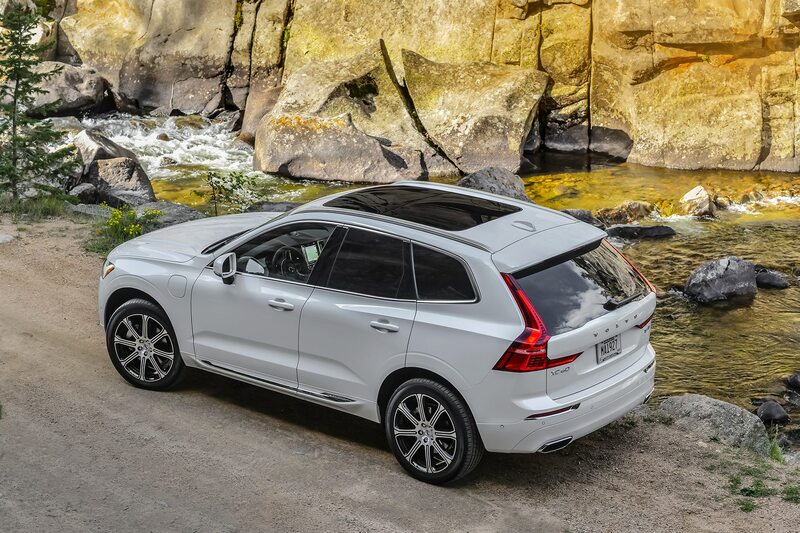 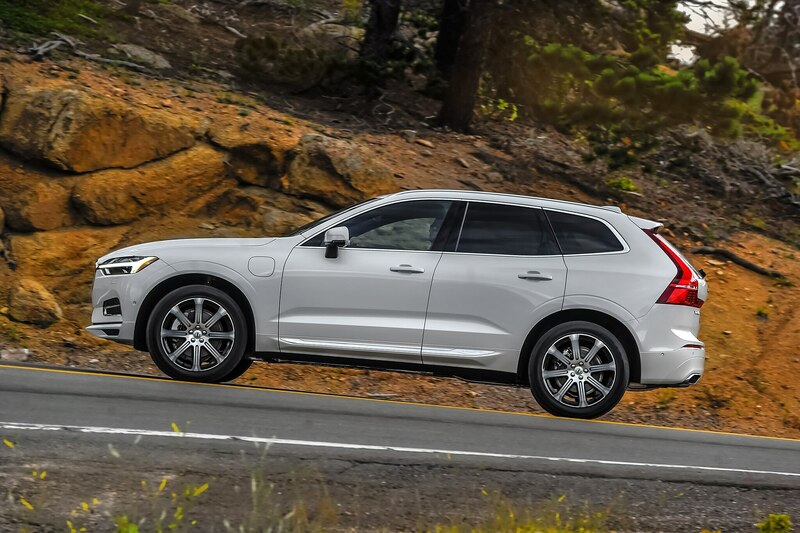 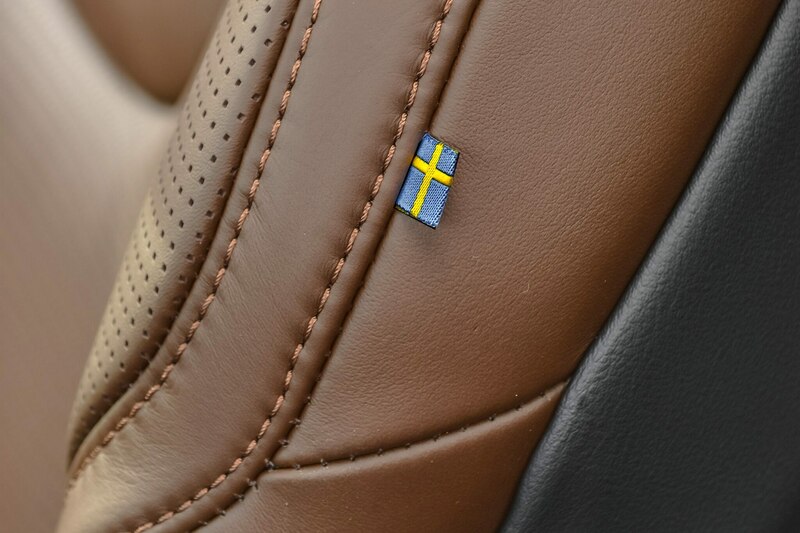 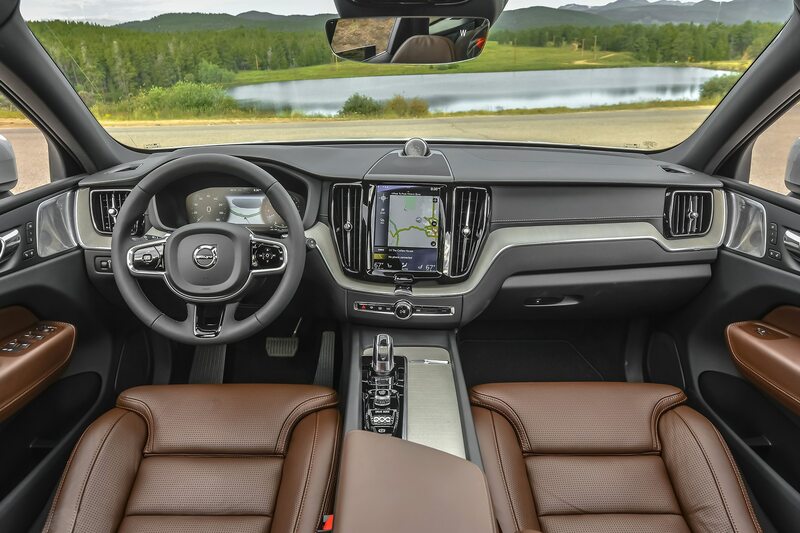 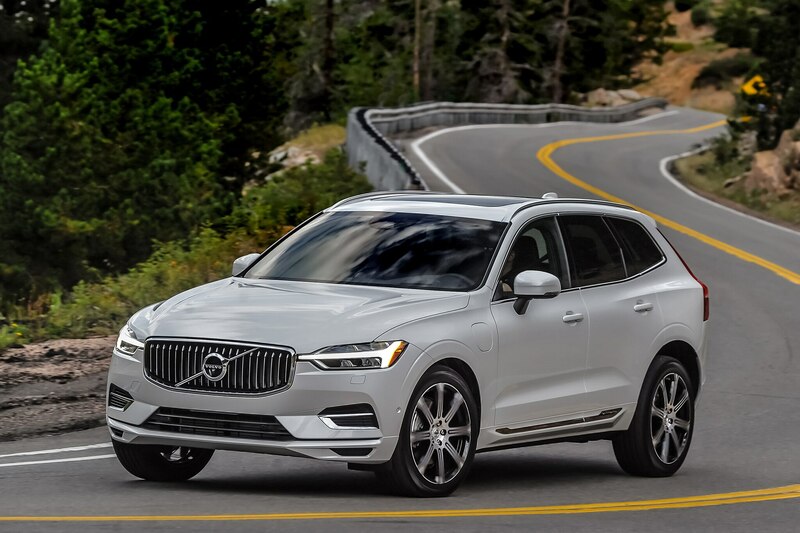 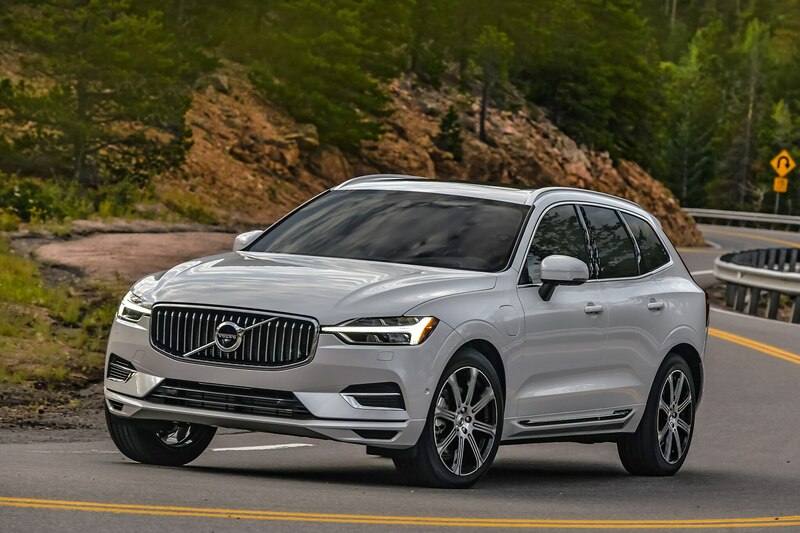 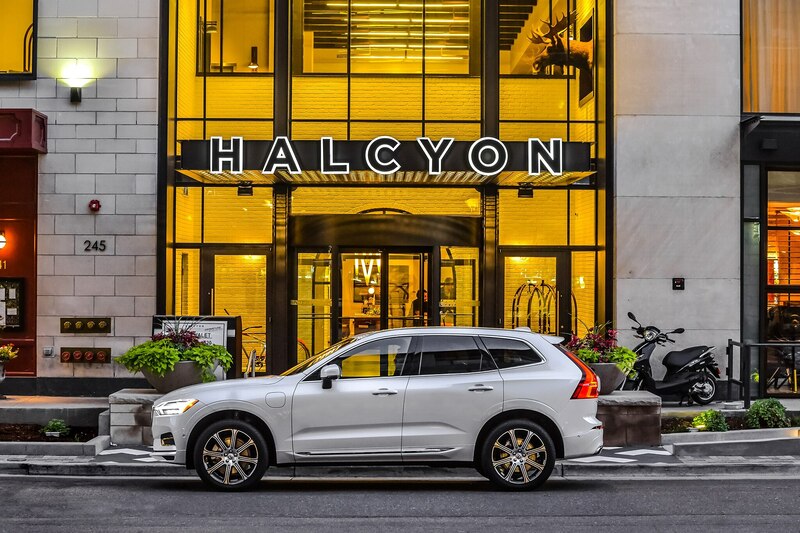 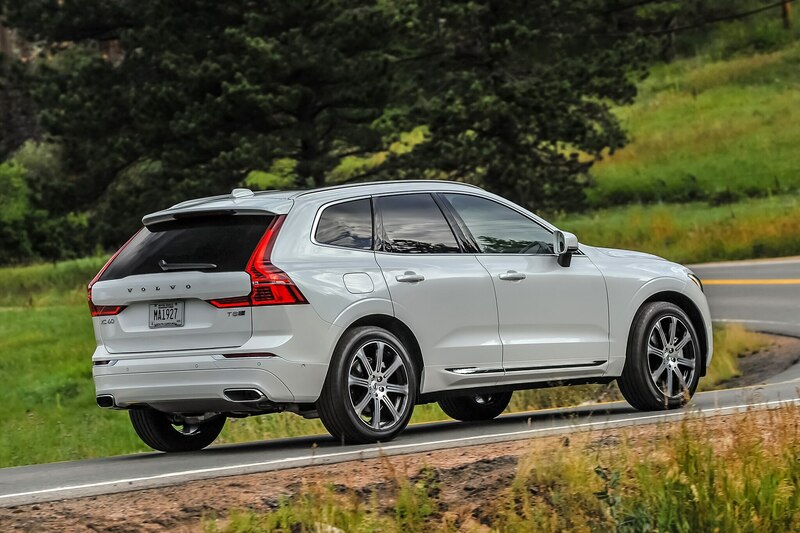 We chose to consider, but definitely not select, the Volvo XC60 because this clean, straightforward compact vehicle is as close to the traditional, much-loved Volvo station wagons that were suburban stalwarts until society collectively decided station wagons were over, done, best forgotten. 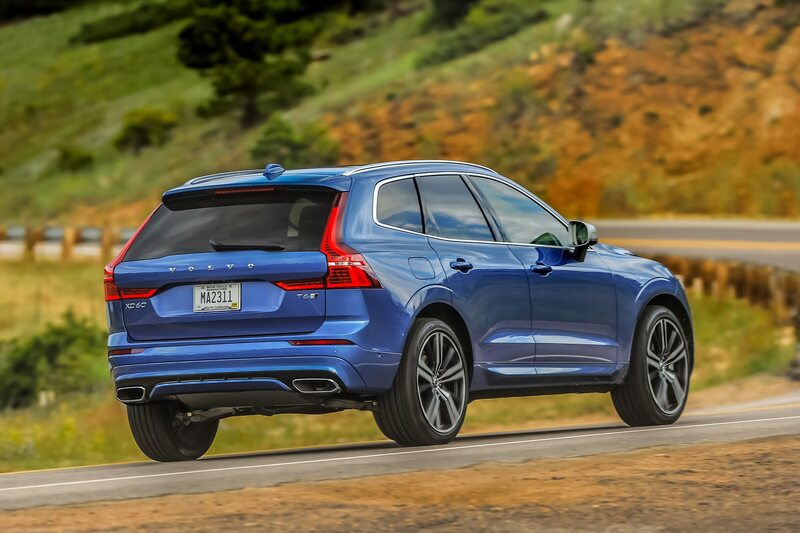 Which is of course not true, evidenced by the continued appreciation for this not-quite-SUV design. 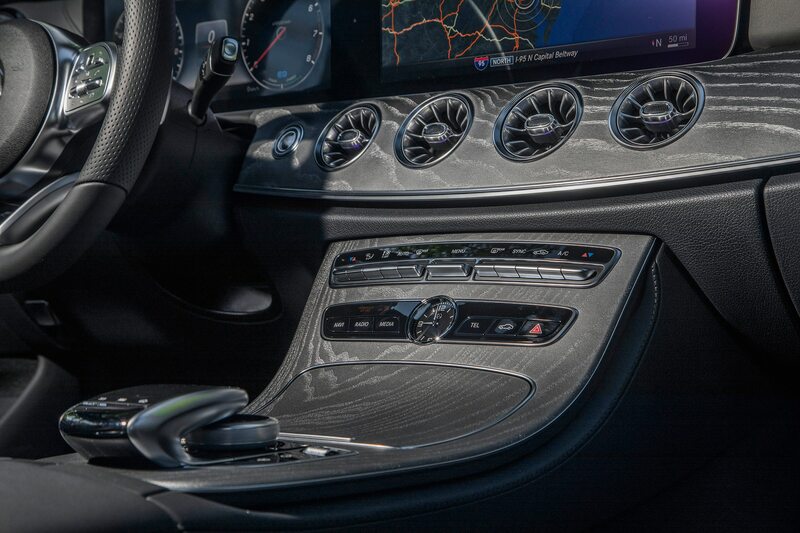 But let’s face it: A box is a box, and it’s going to be a long time before anyone comes up with a way to make a box, however artful, a Design of the Year. 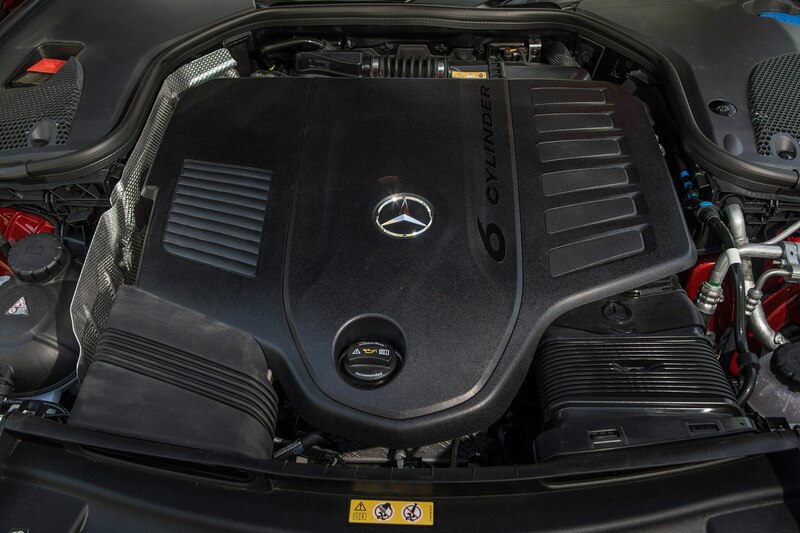 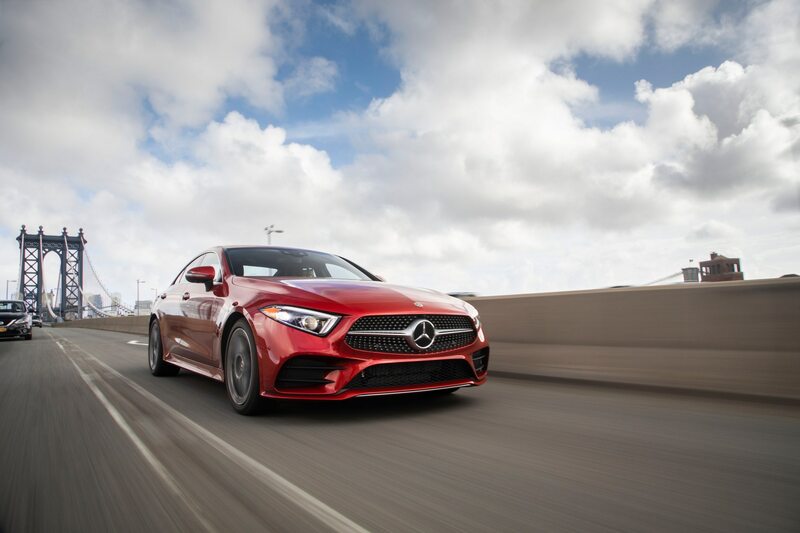 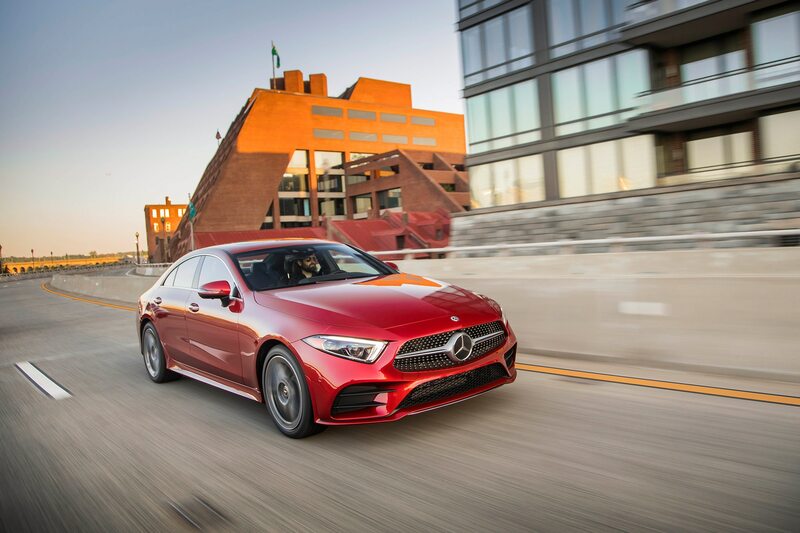 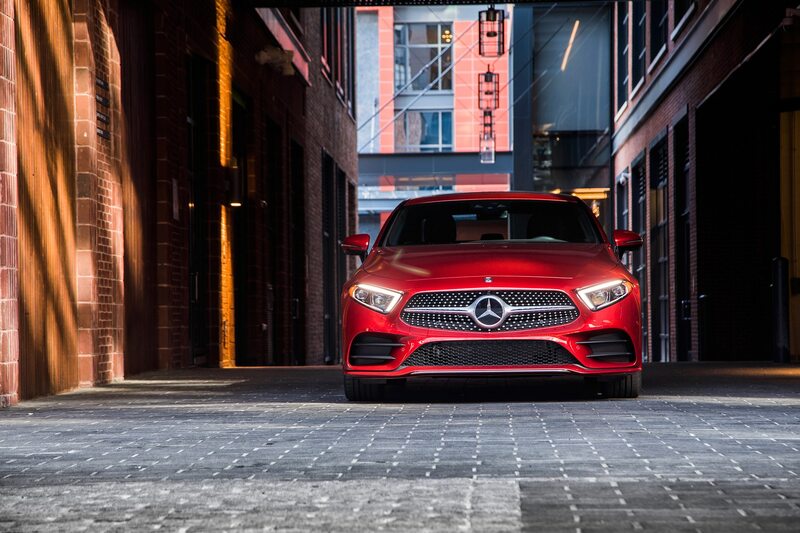 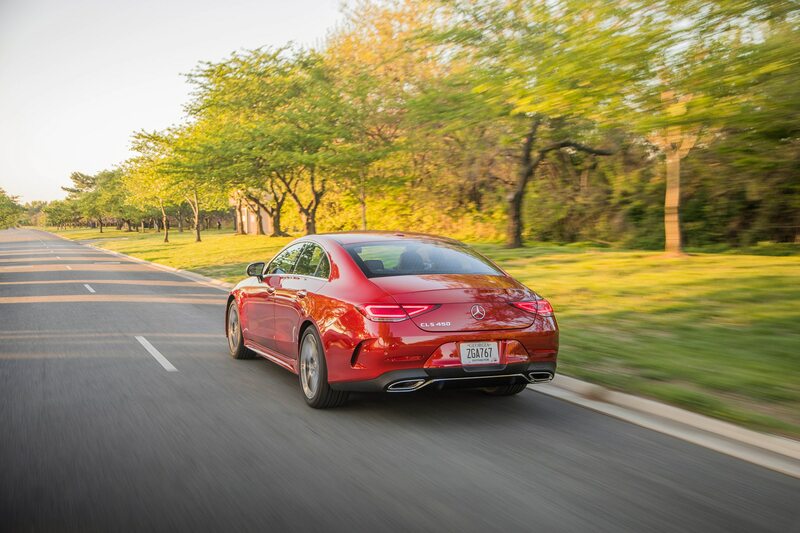 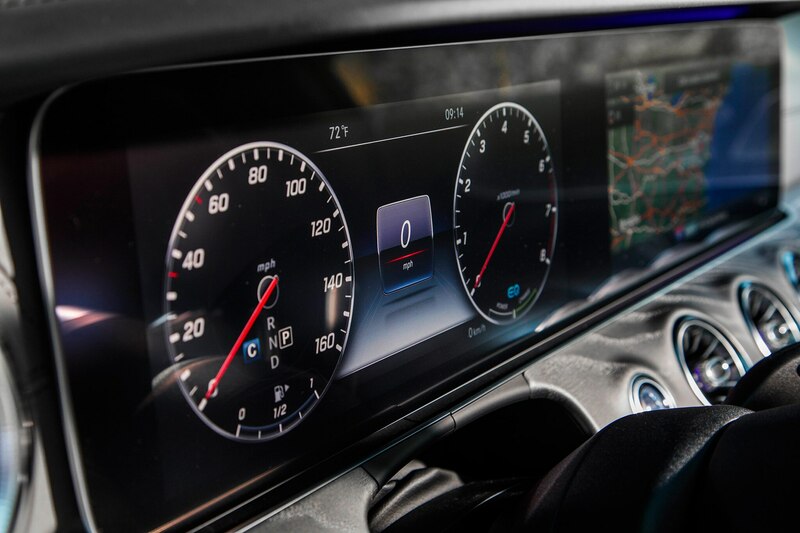 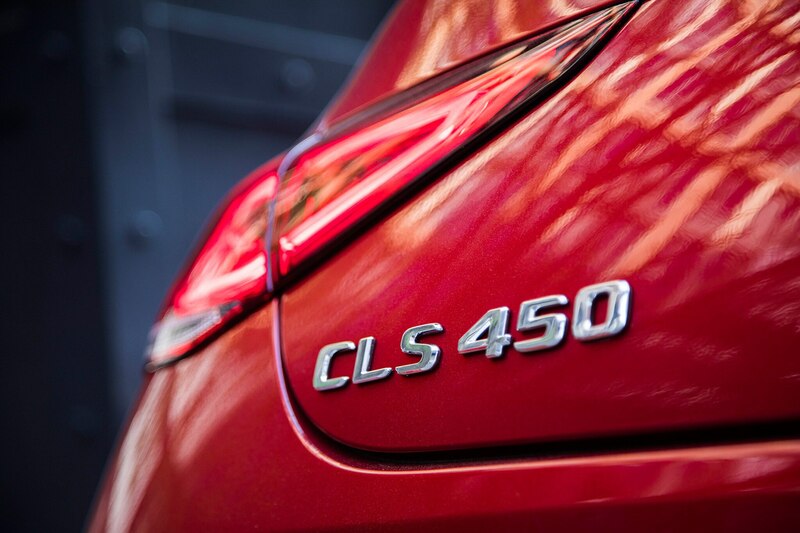 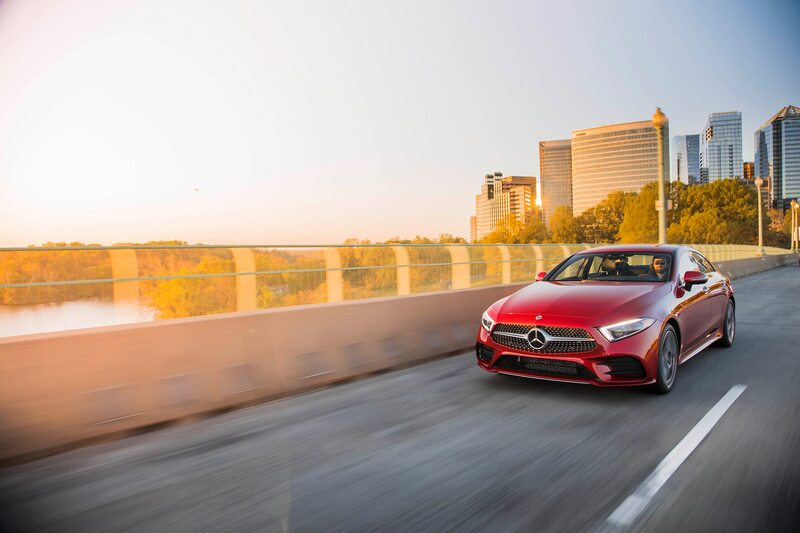 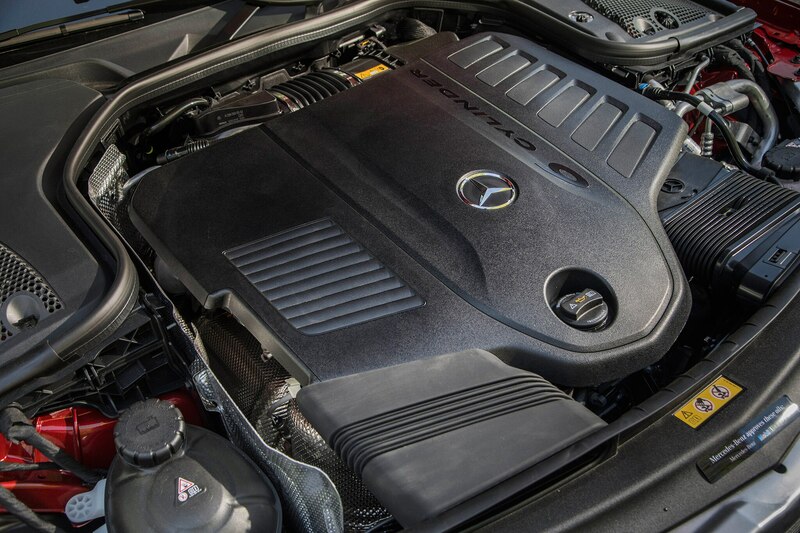 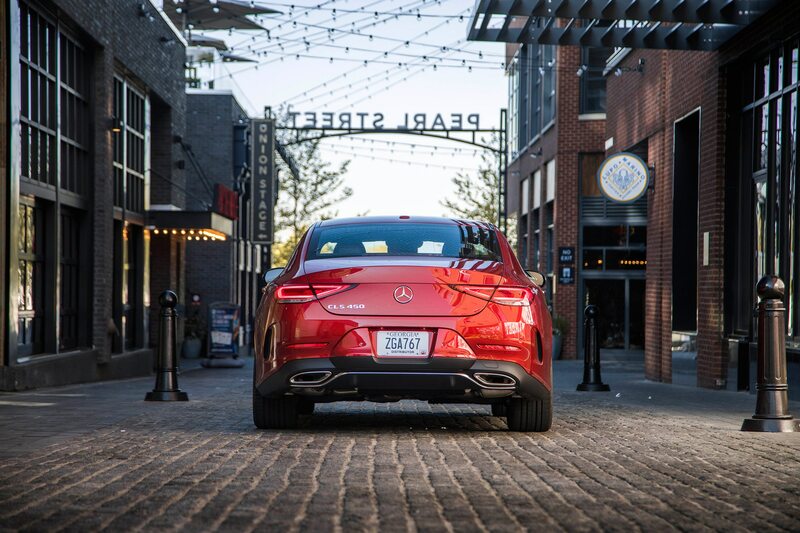 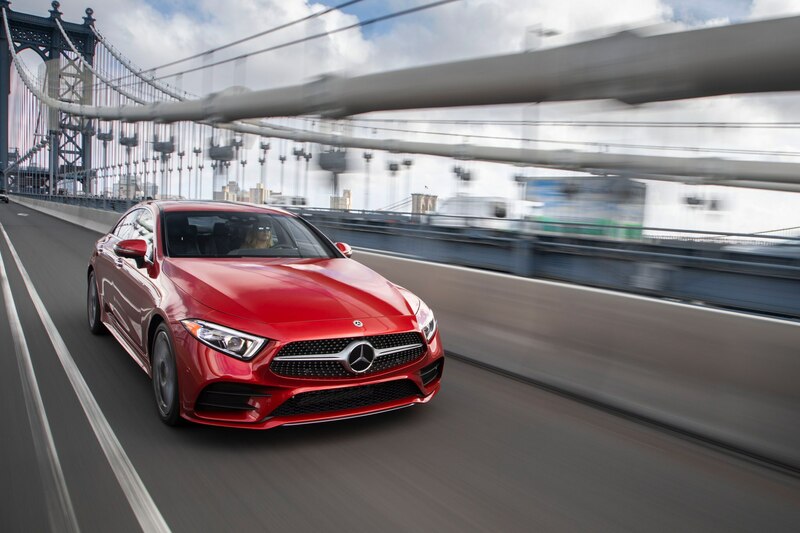 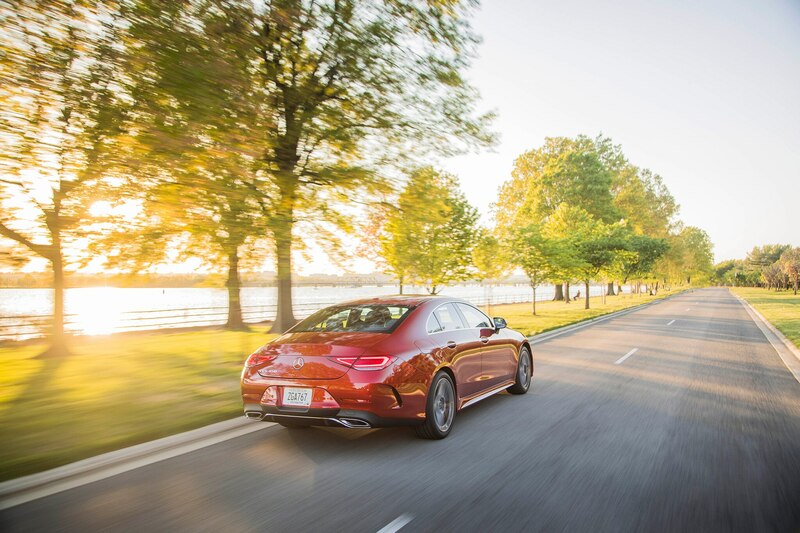 This is the third installment of Mercedes-Benz’s sleek CLS. 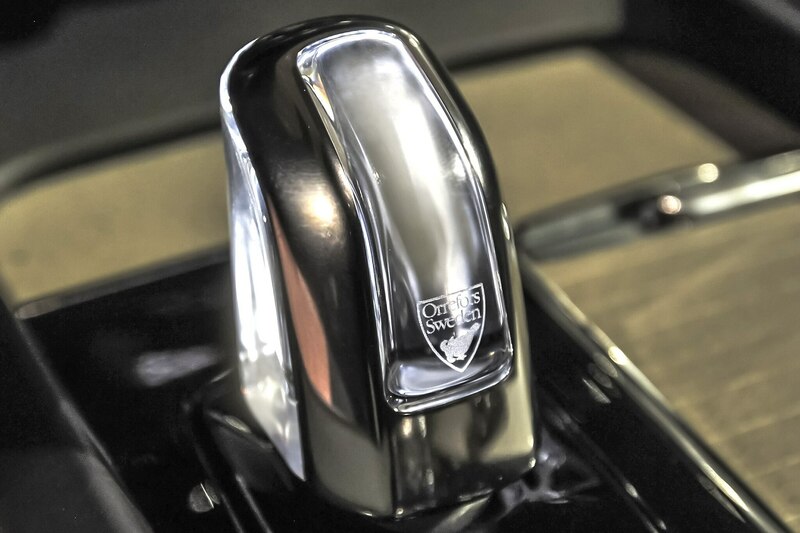 Although the venerable firm is usually credited with creating the “four-door coupe” concept with the first almost-shocking model 15 years ago, the idea—and the public use of the term—actually goes back to Rover with its stodgy, conservative “chopped-top” P5 in 1962. 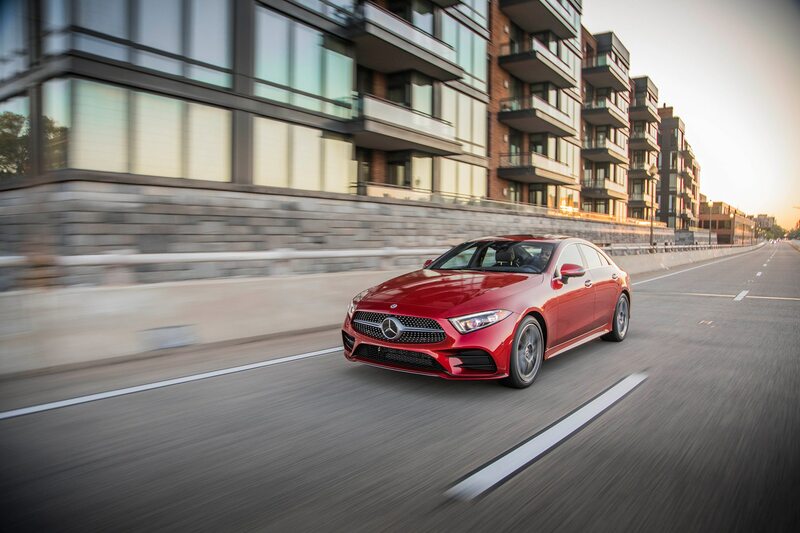 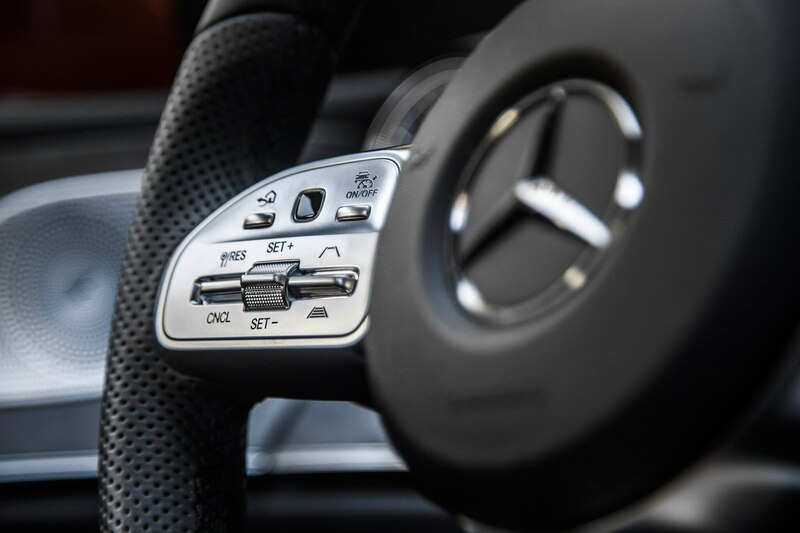 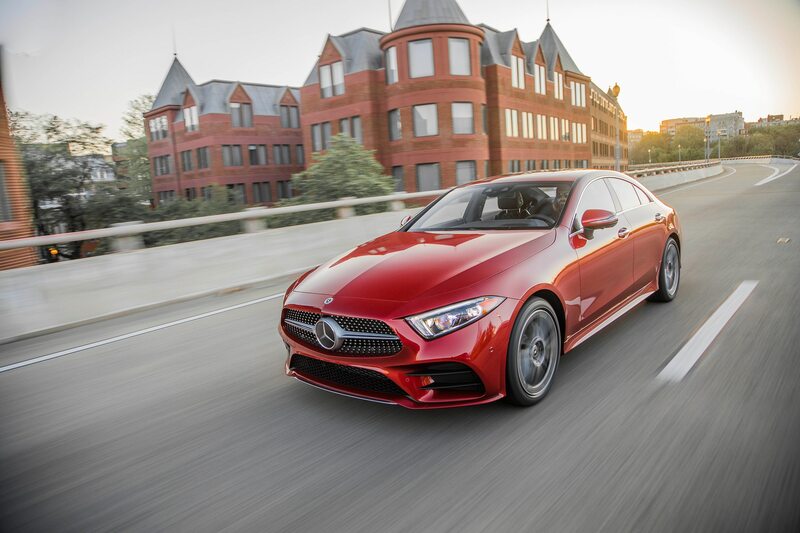 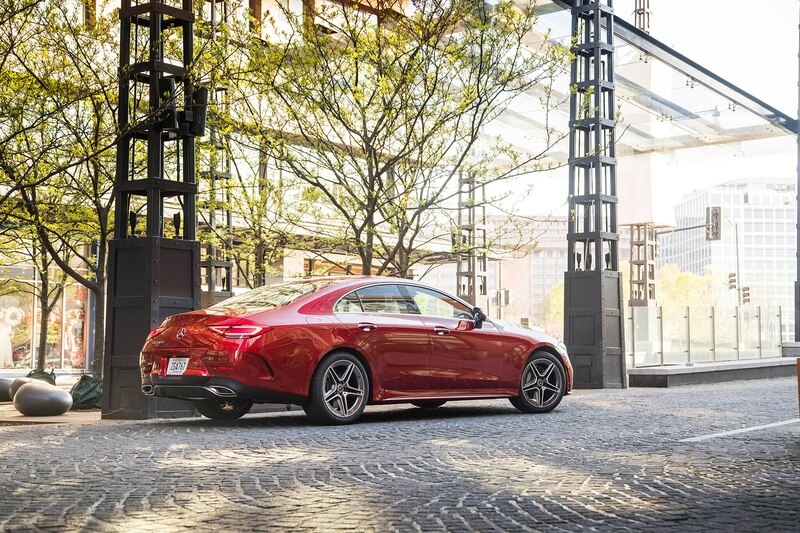 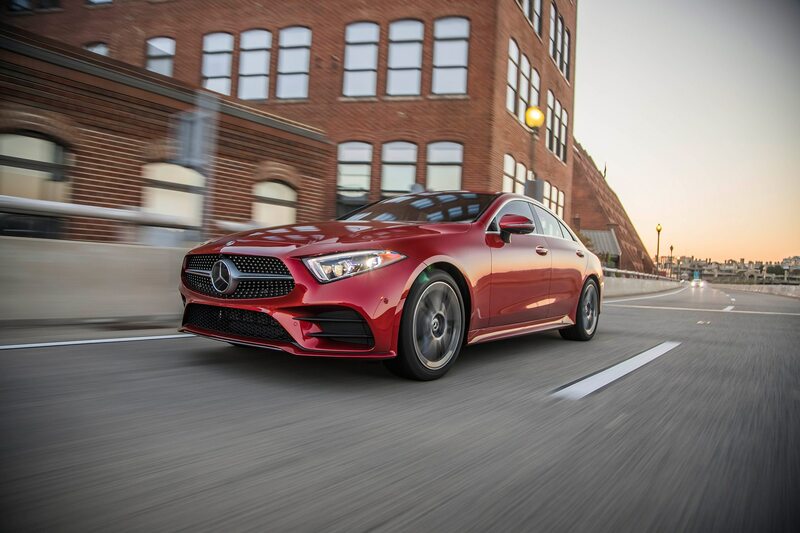 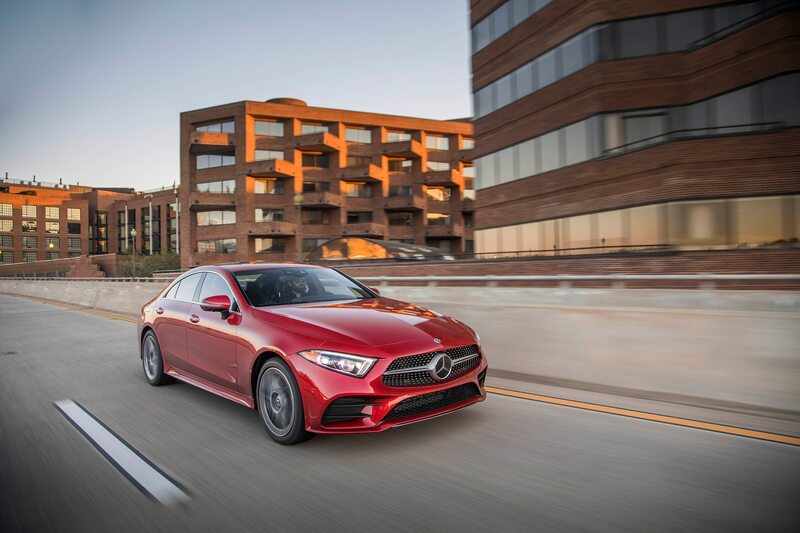 No matter, the CLS has been a successful product for Mercedes from the beginning, offering customers the company’s traditional solidity, reliability, and dynamic abilities in a less traditional format, and one that’s a lot less taxicab-like (a working role in which Stuttgart’s cars have excelled for generations). 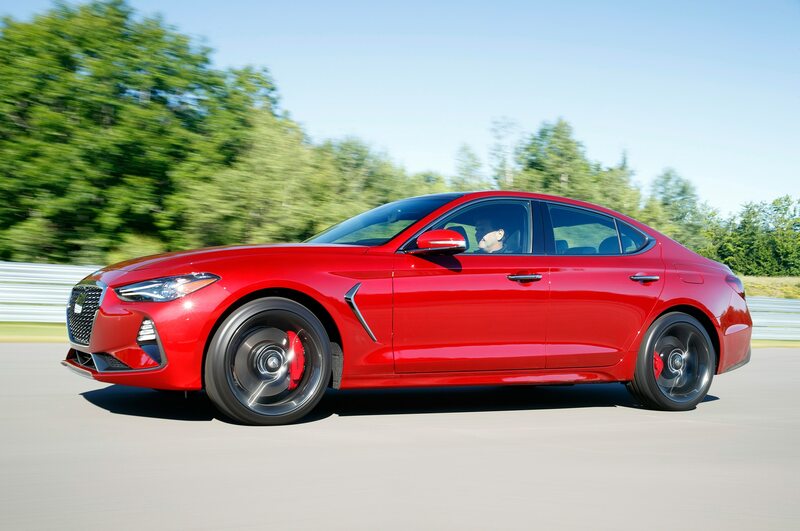 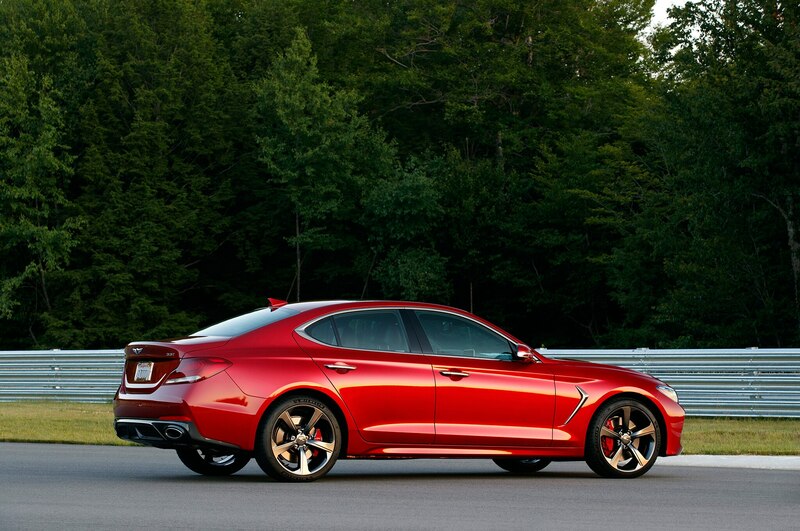 One aspect of this new car’s svelte profile is the fact it is no longer a pure fastback shape. 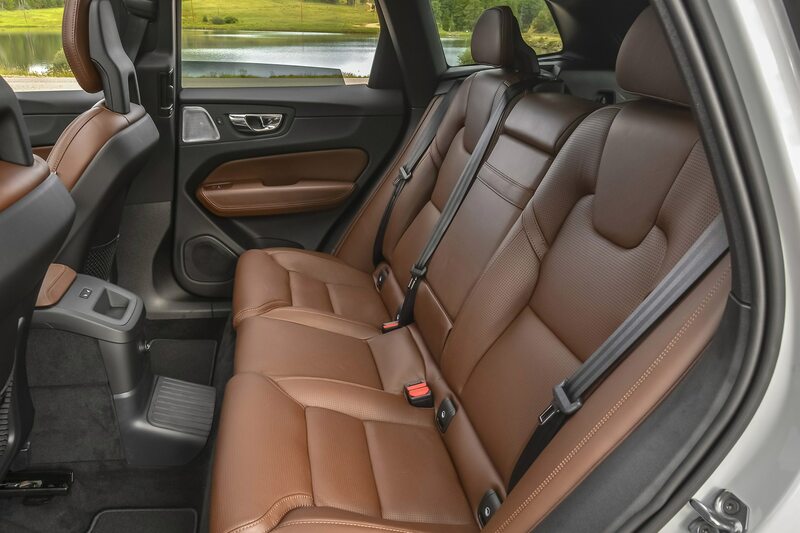 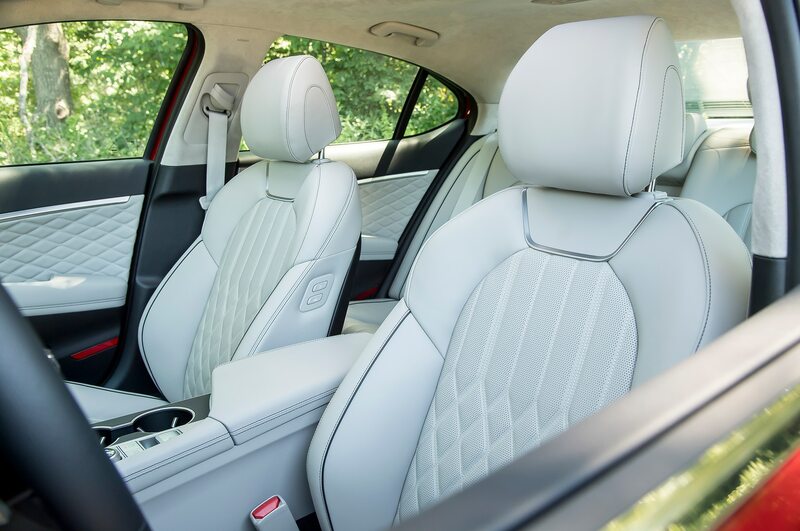 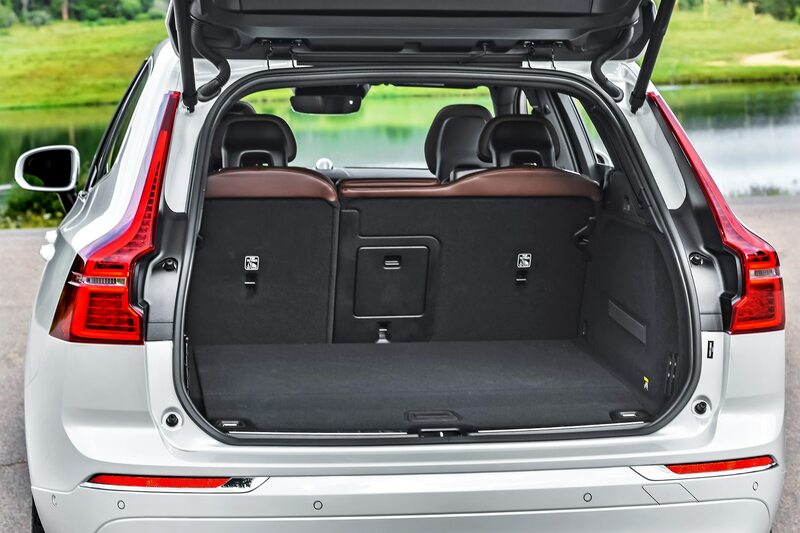 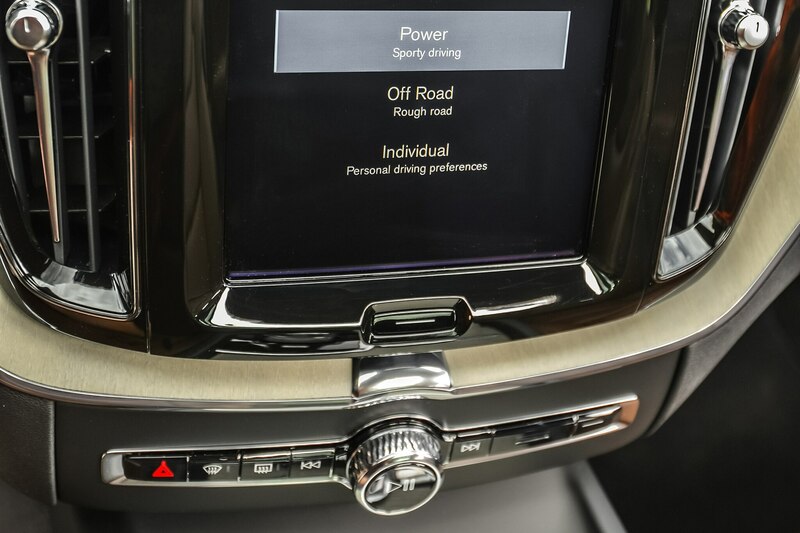 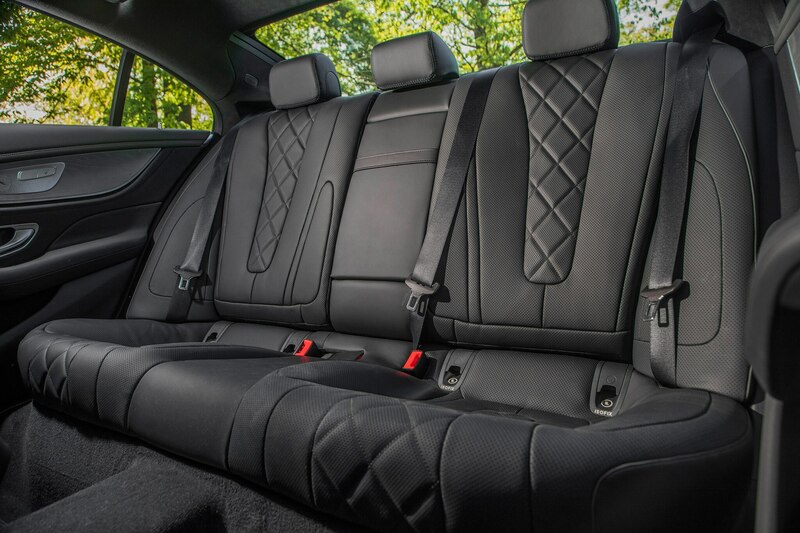 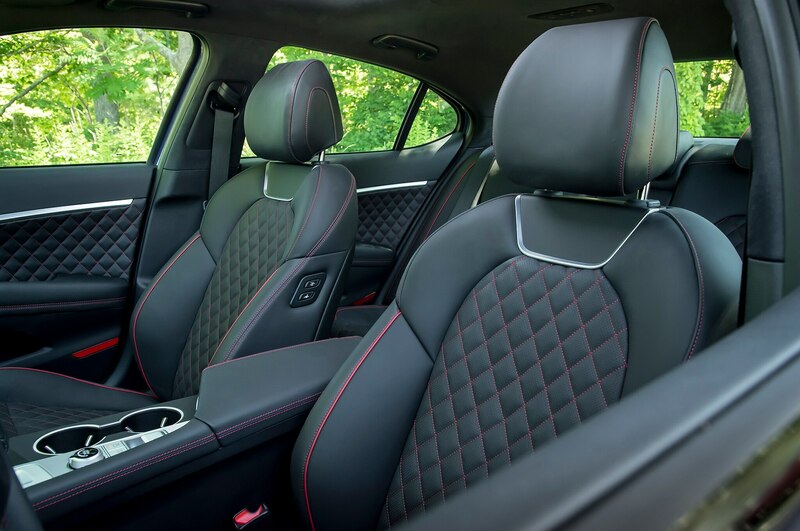 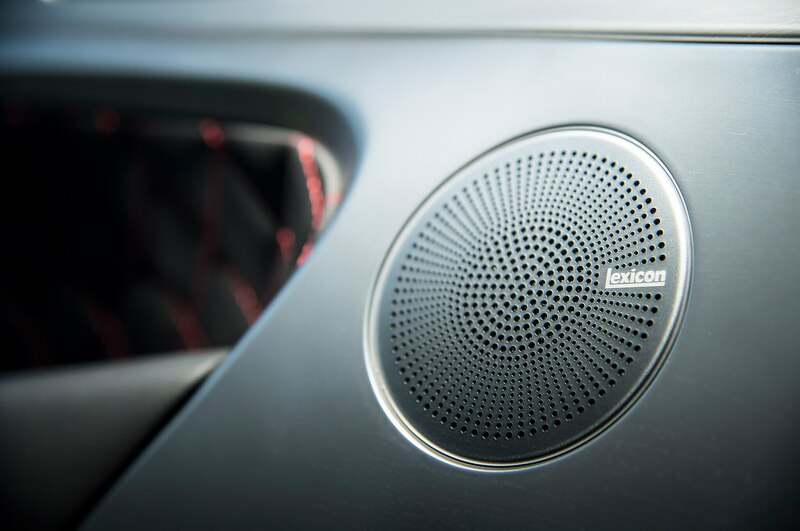 By inducing a break at the backlight’s base, it provides a bit more headroom for rear-seat passengers and a bit more height in the trunk, both commendable results. 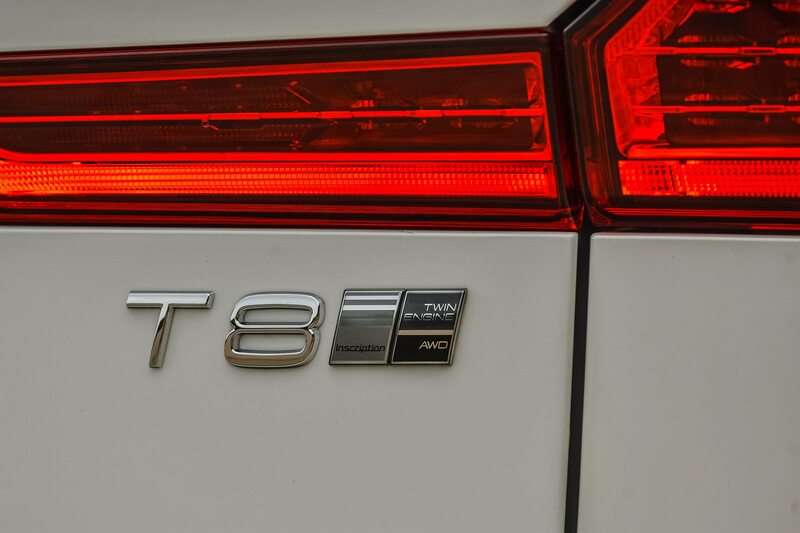 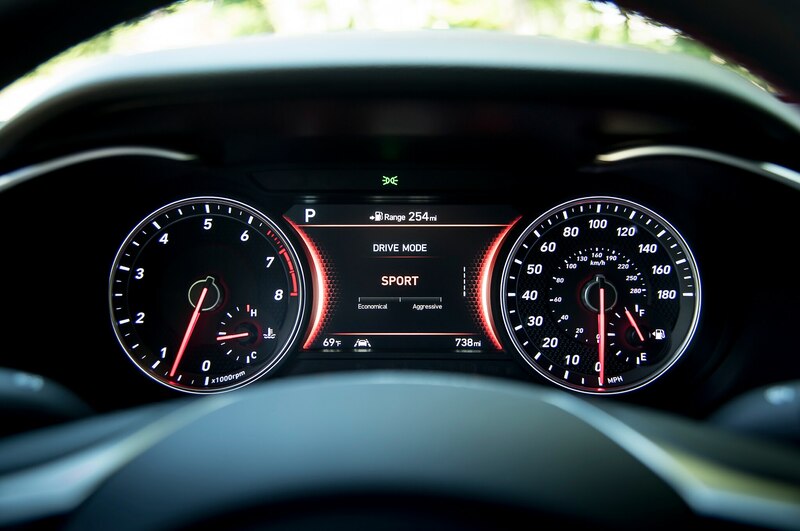 As this was accomplished without changing the impression of a low, fast, and sporty car, it’s a positive development. 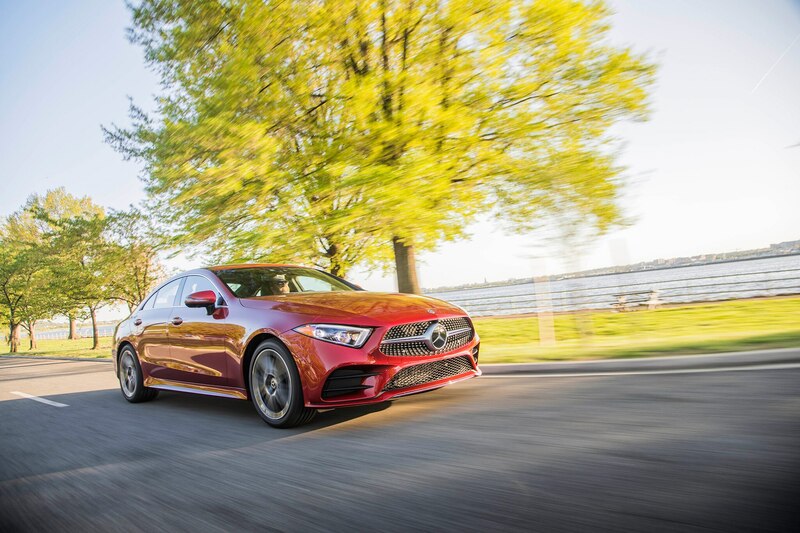 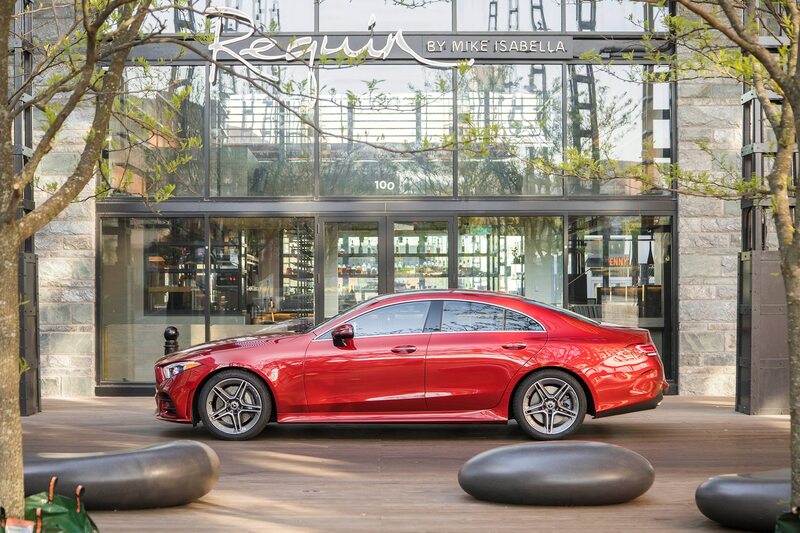 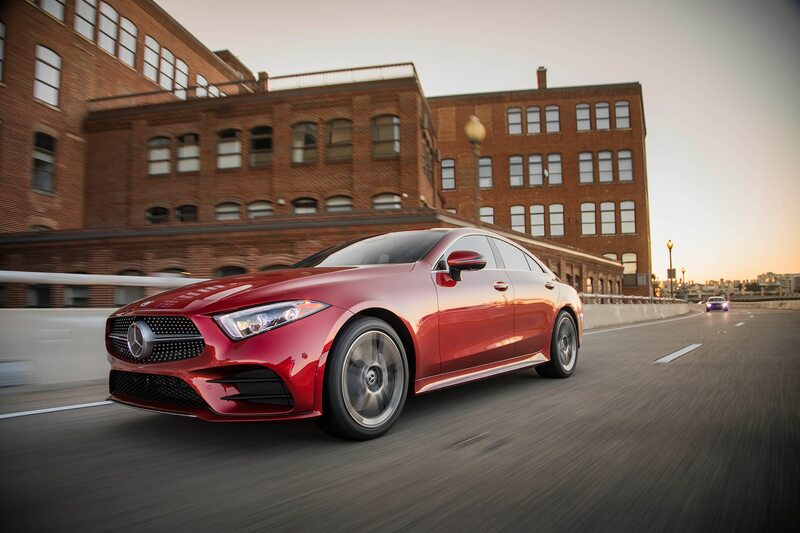 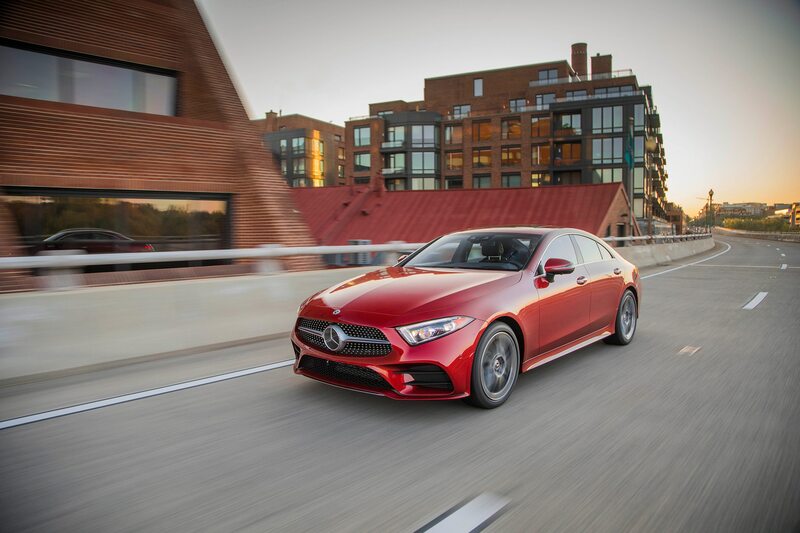 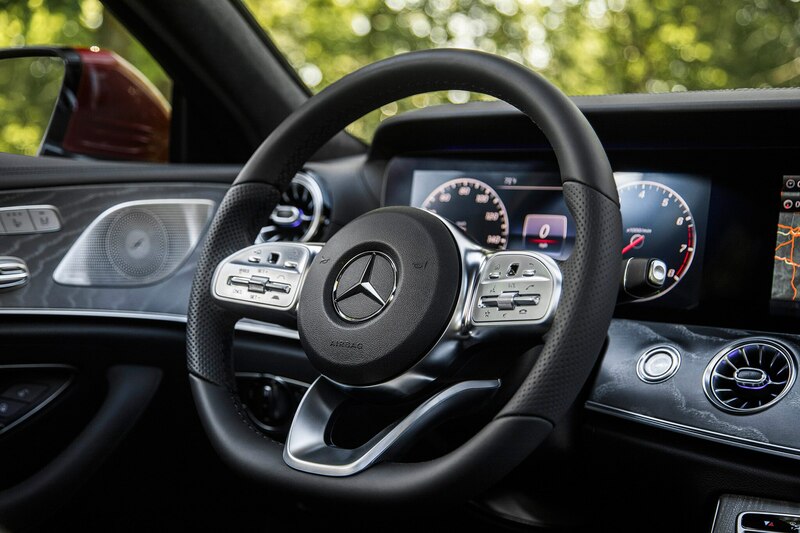 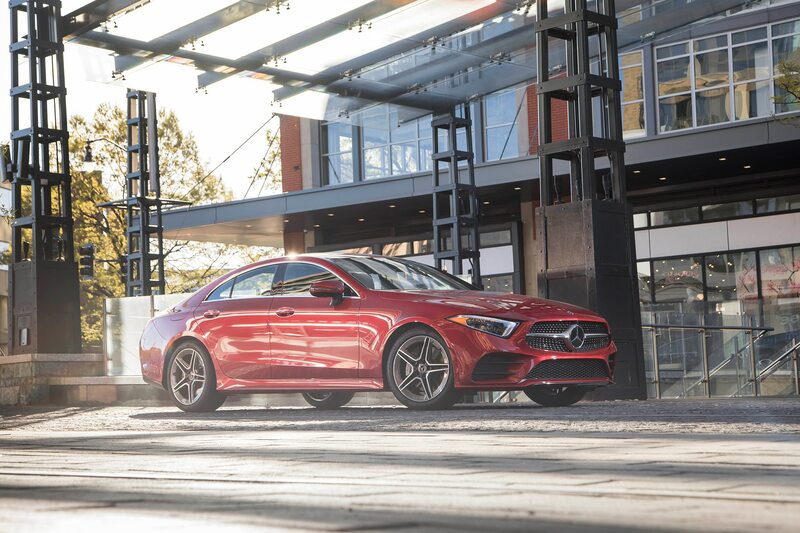 Our principal negative concern, though, one that puts the CLS aside as Design of the Year, is the inescapable sense that its tires are far too small for it. 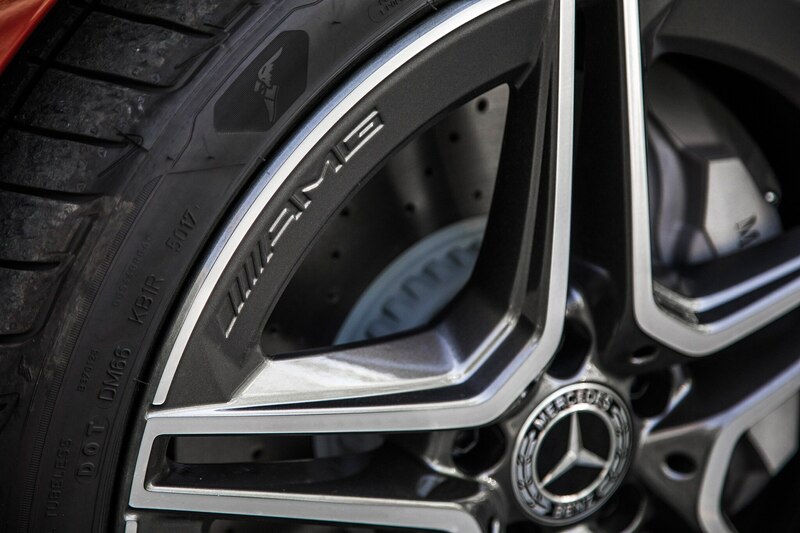 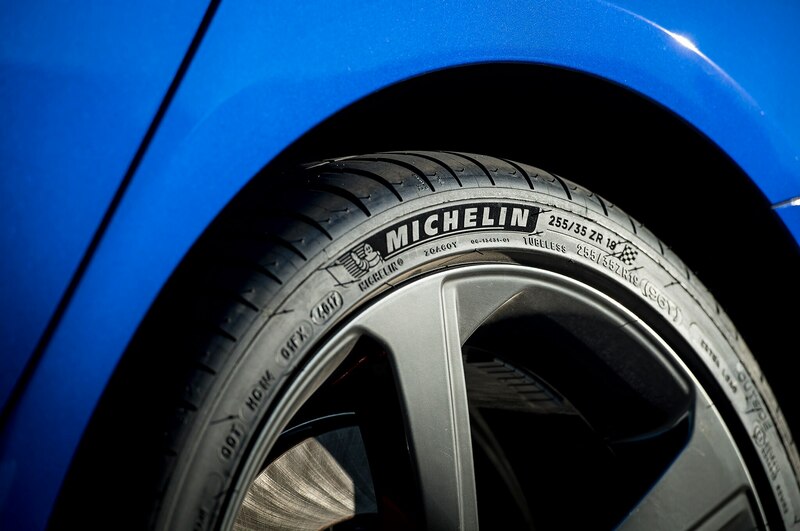 They do not fill the wheel openings, and while the wheels are fine as they are, the tire sidewalls look to be about half height. 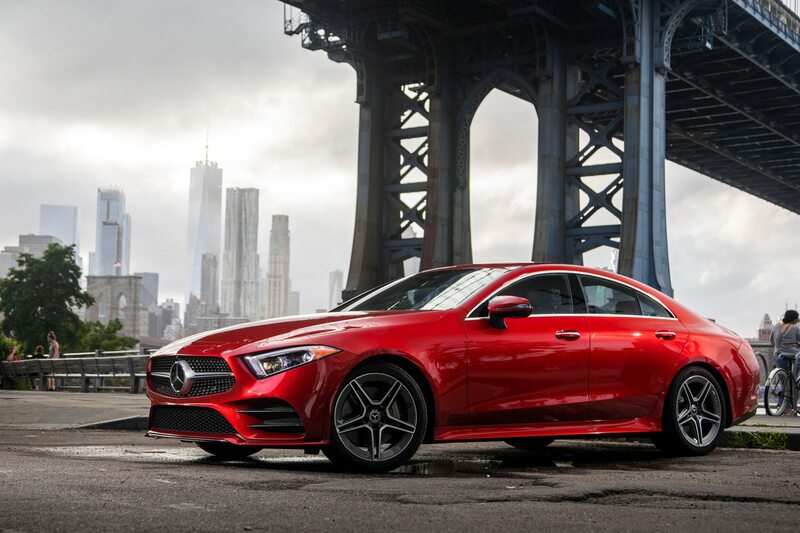 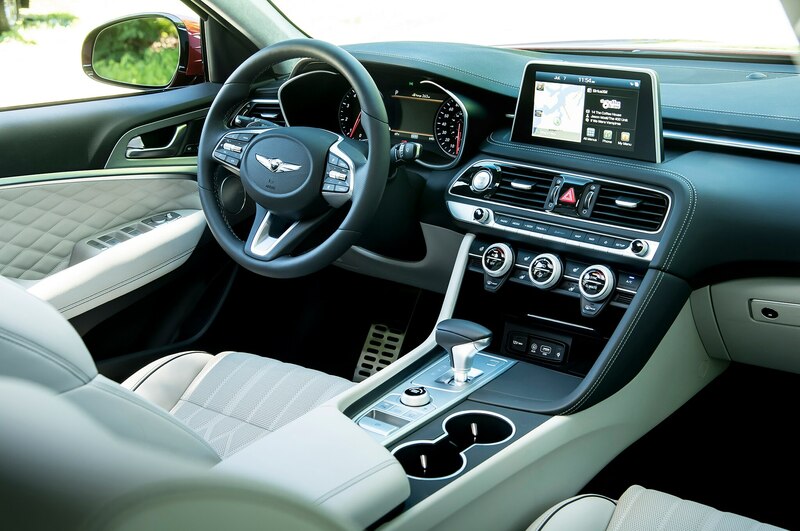 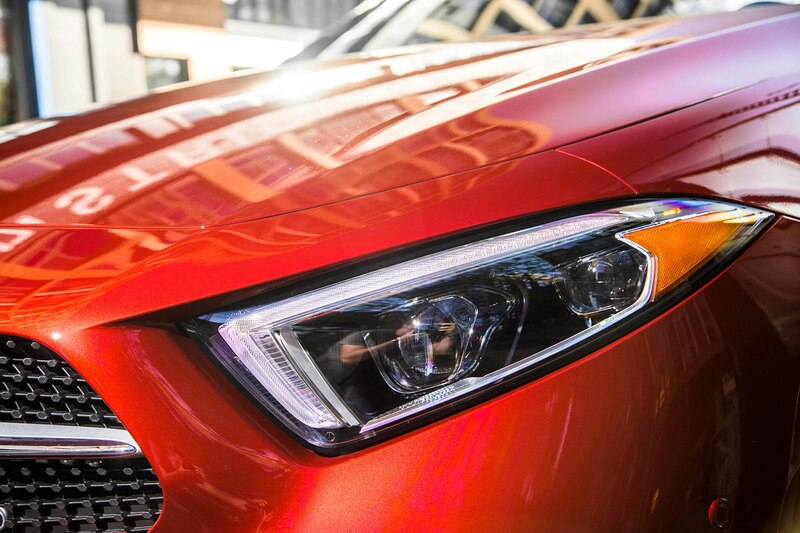 This year has brought us no shortage of handsome cars, but it takes more than just a well-proportioned face or a great silhouette to earn our nod for Design of the Year. 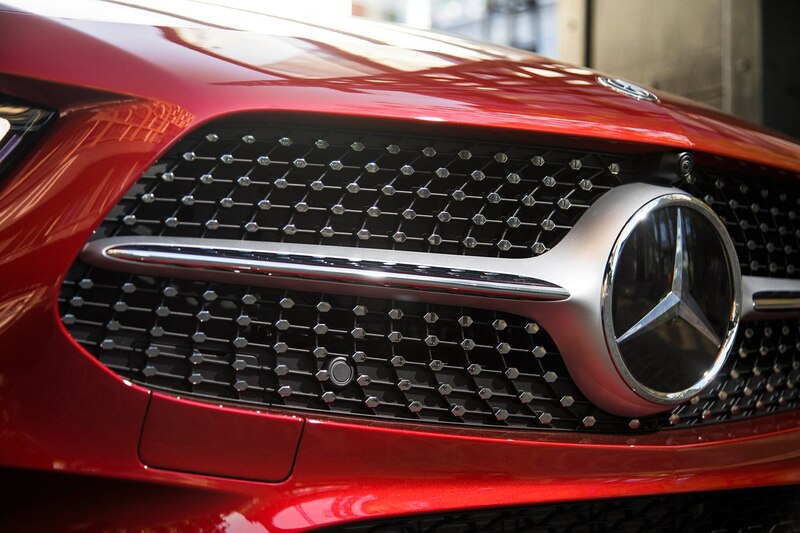 To find out the winner, head here.